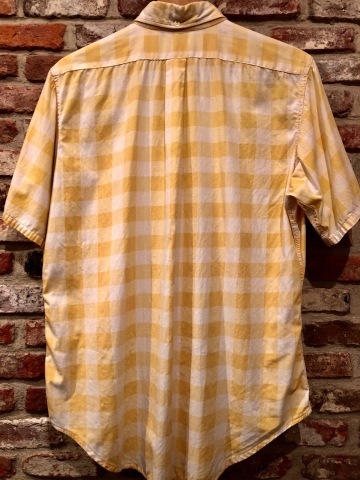 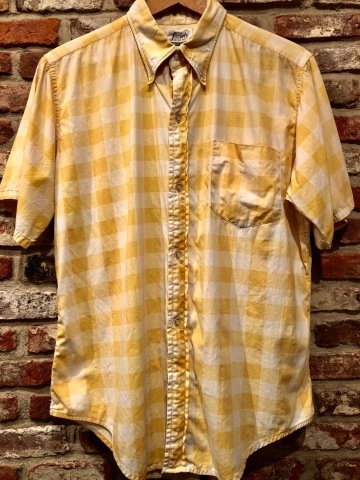 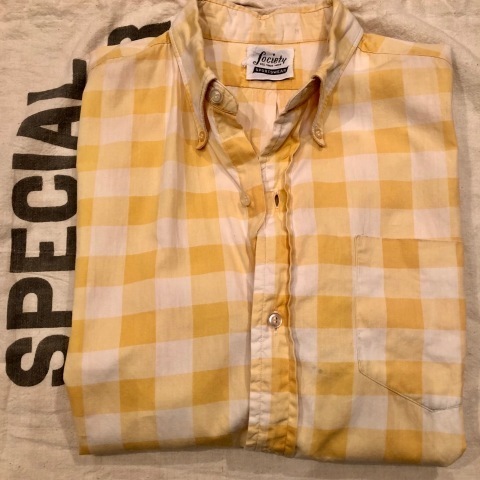 1960s " CAL-MADE SPORTS MAN " - LIGHT YELLOW - VINTAGE BOX-TAIL S/S SHIRTS . 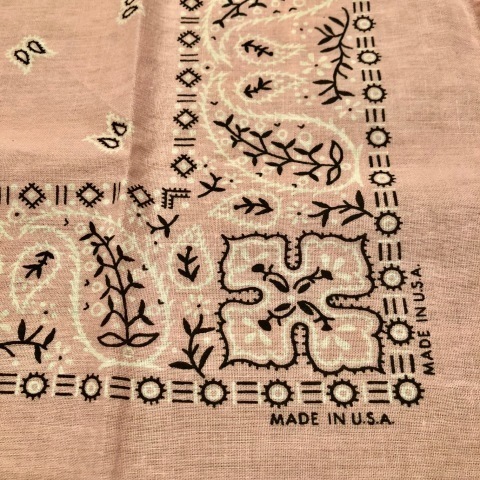 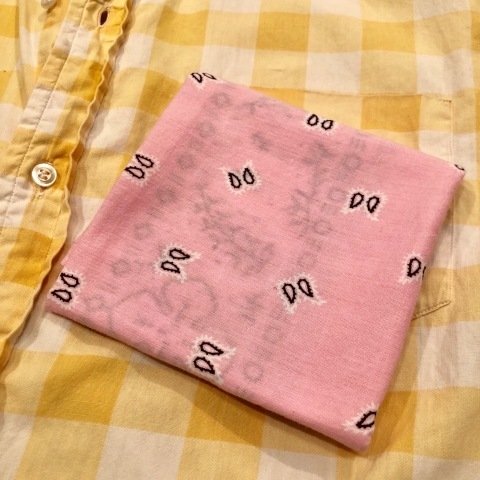 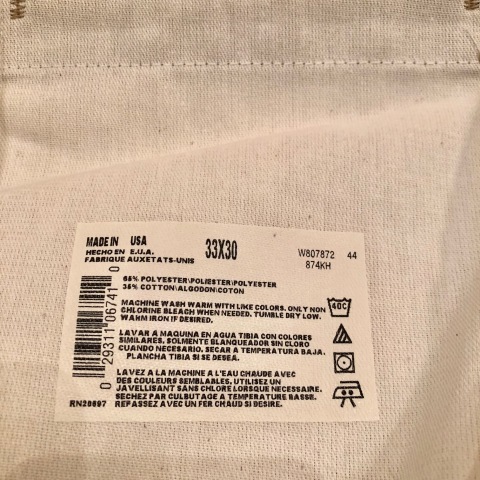 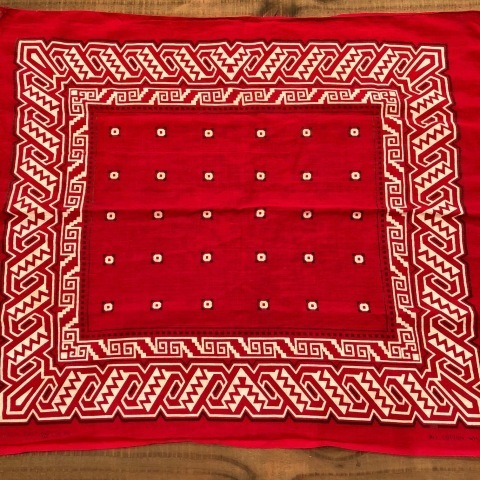 1950-60s " OSH KOSH B'gosh " 100% cotton VINTAGE - POLKA DOT - BANDANNA . 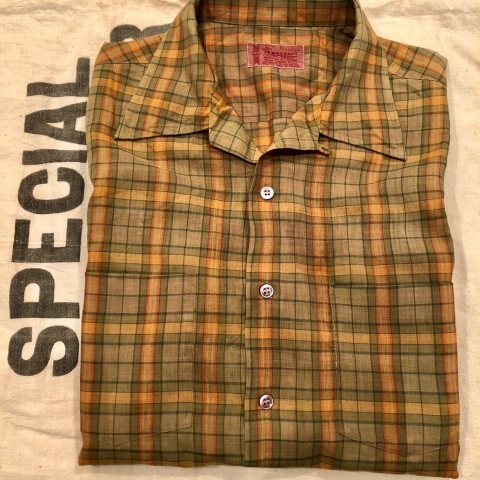 1960s " PENNEY'S TOWN CRAFT " 100% combed cotton VINTAGE BOX-TAIL CHECK SHIRTS - Dead Stock - . 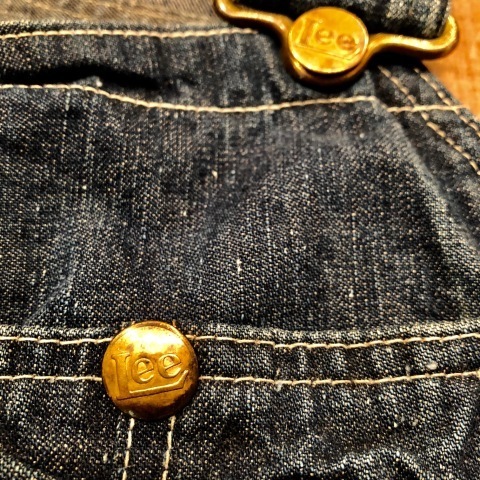 1940s " U.S NAVY " ALL SILVER VINTAGE - I.D BRACELET - PLAIN . 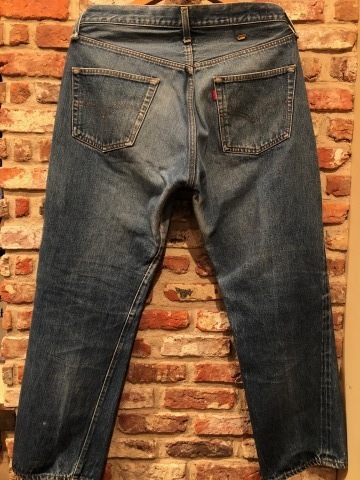 Early 1960s " BIG MAC - UNION MADE - " VINTAGE - LOW BACK style - DENIM OVER ALL . 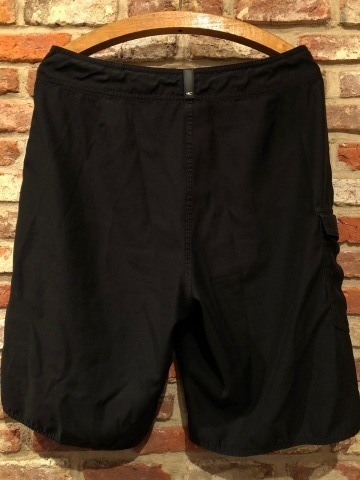 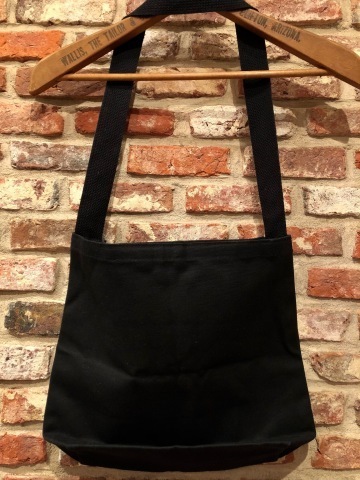 1990s " LL.Bean " 100% cotton CANVAS BLACK - BOAT AND TOTE - . 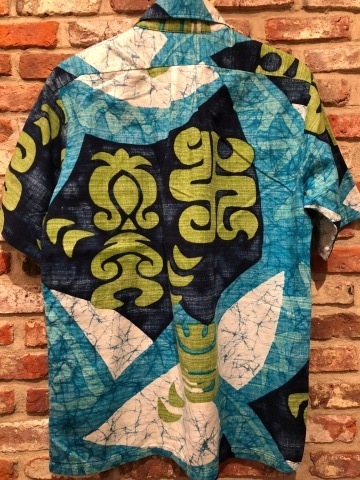 1960-70s " ANCHOR HOCKING - FIRE KING - " - KIMBERLY MUG - GREEN Gradation × 2PCS . 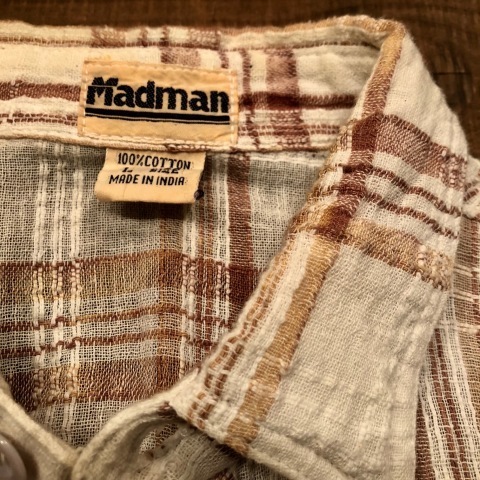 1970s " Madman " 100% INDIA COTTON - CALIFORNIAN - MADRAS CHECK S/S SHIRTS . 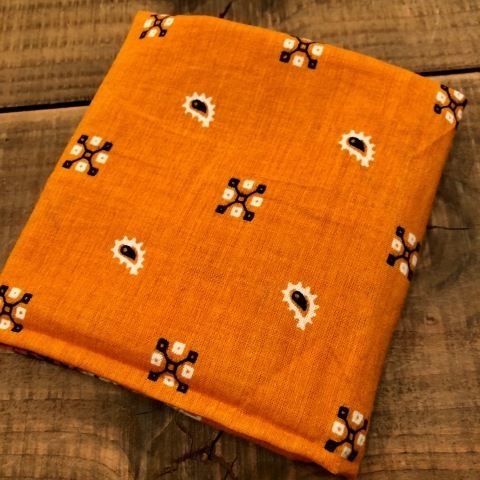 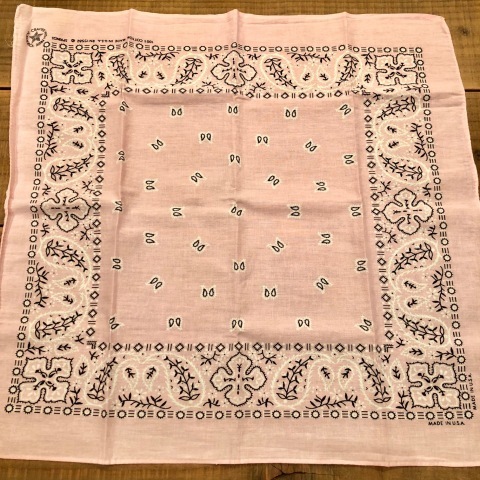 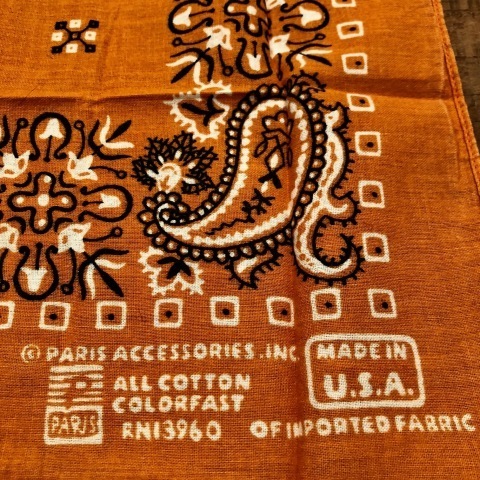 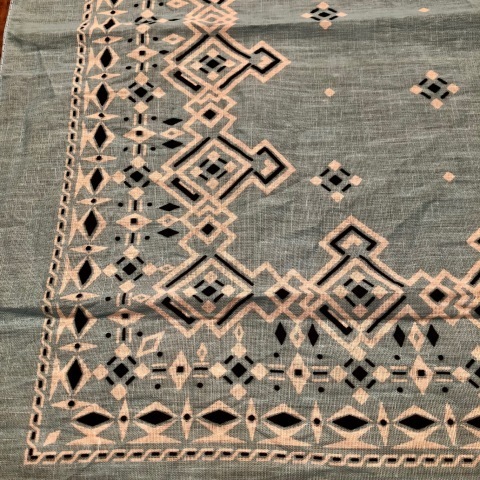 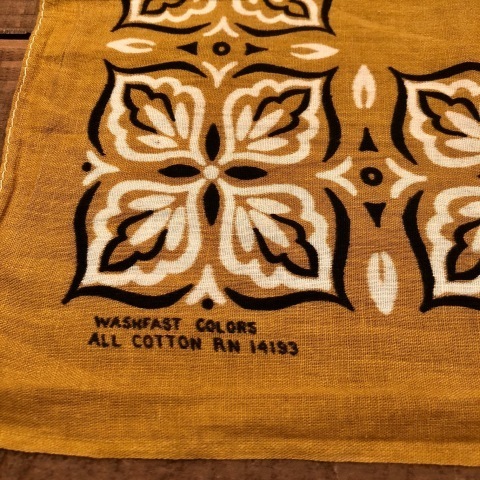 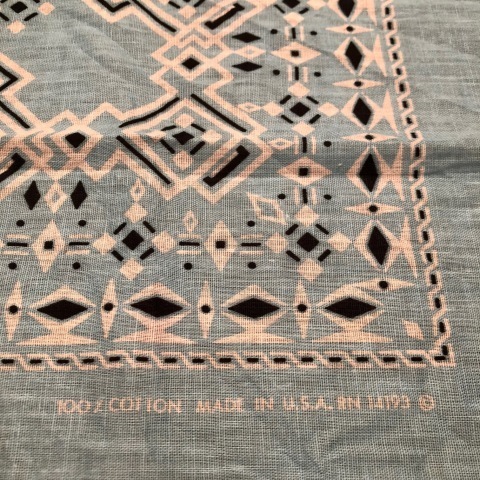 1960s " PARIS ACCESSORIES " 100% cotton FAST COLOR - クッキー柄 - RN 13960 vintage BANDANNA . 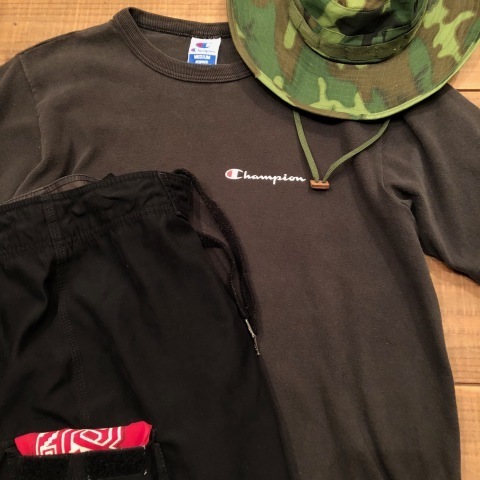 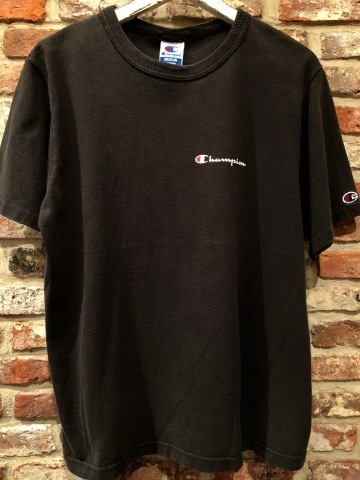 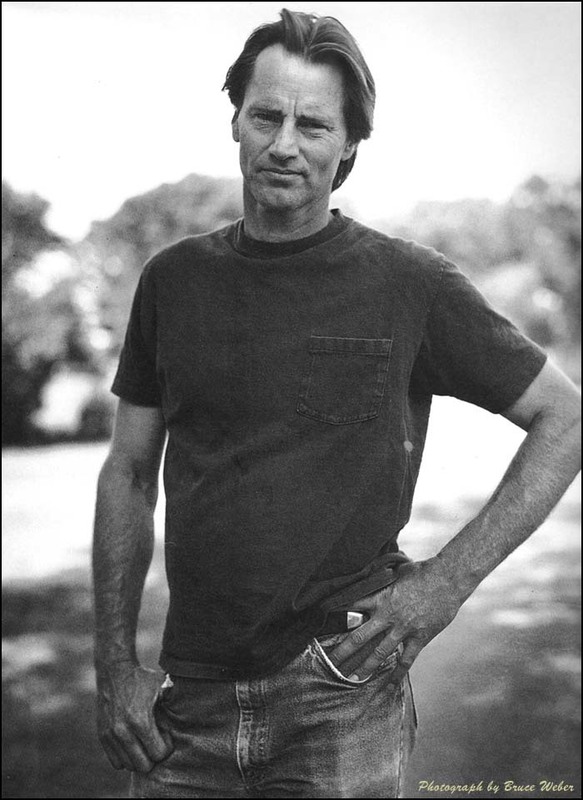 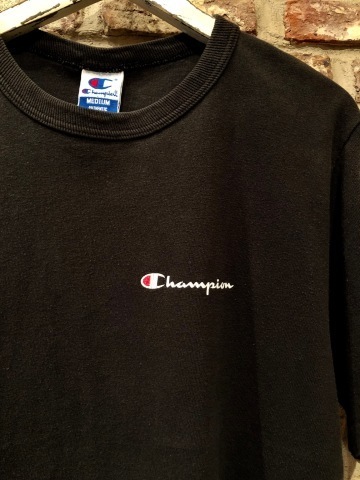 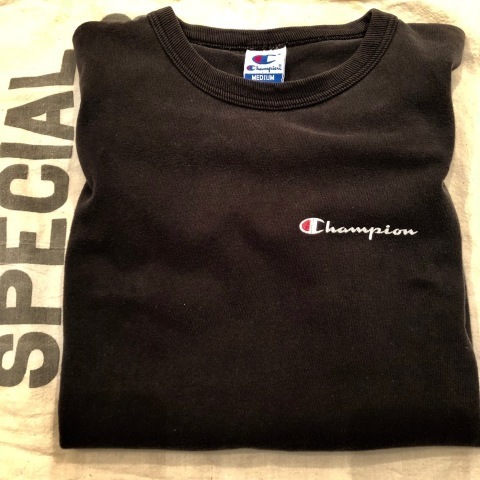 Early 1990s " CHAMPION - made in U.S.A - " 100% cotton - BLACK - Tee SHIRTS . 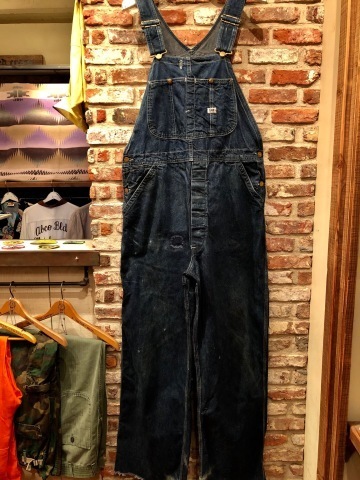 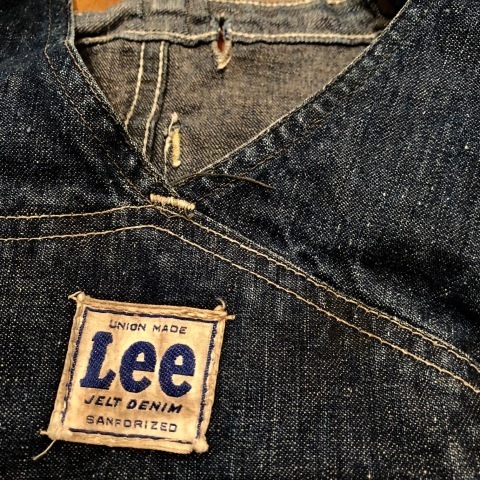 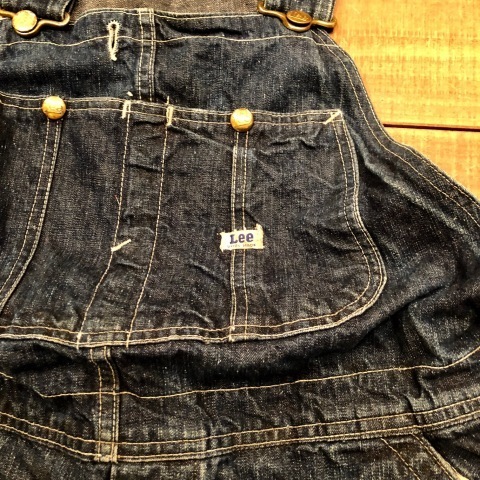 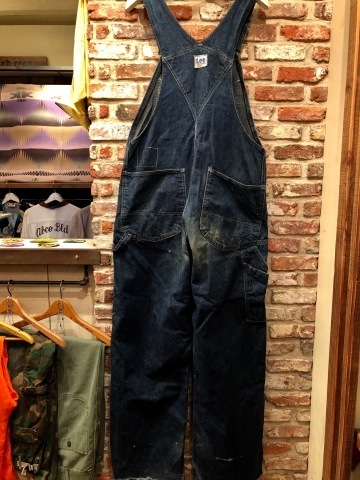 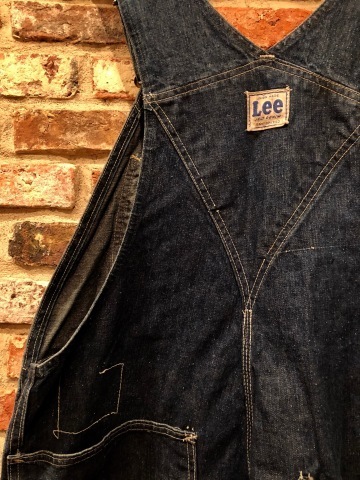 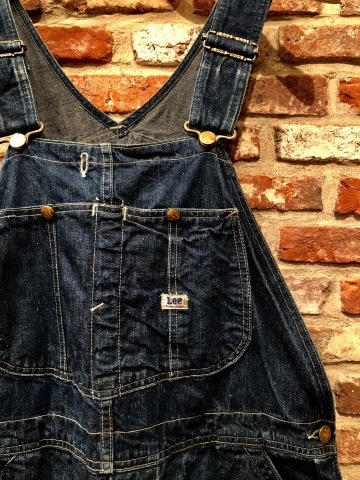 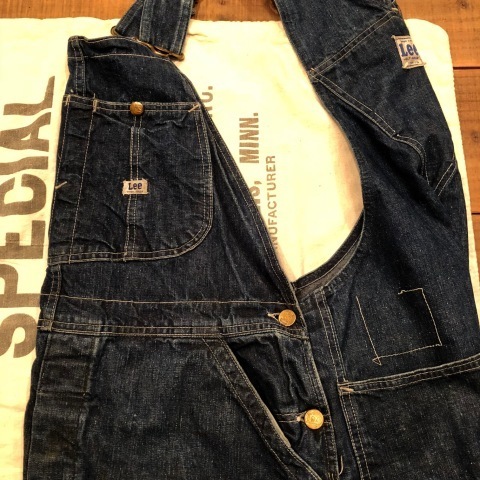 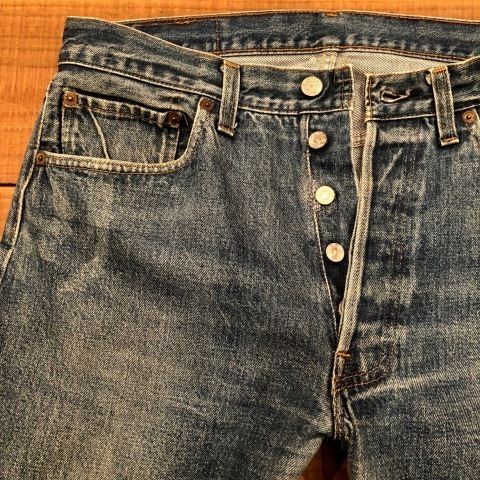 1950s " H.D Lee - ロング L - " ９１- SB - JELT DENIM - VINTAGE OVER ALL . 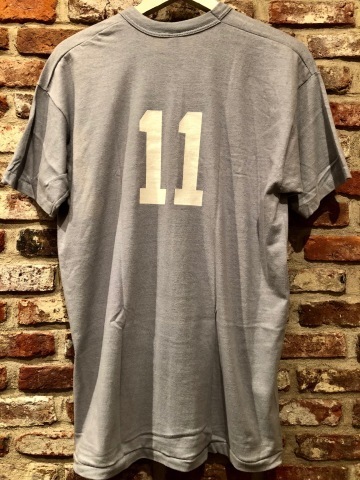 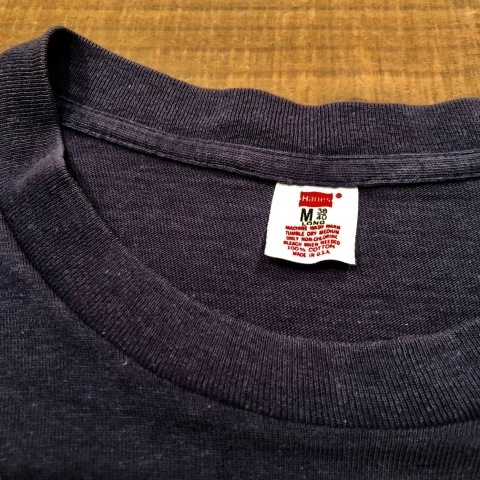 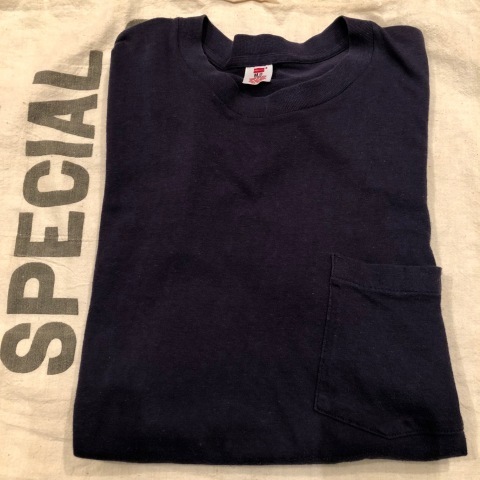 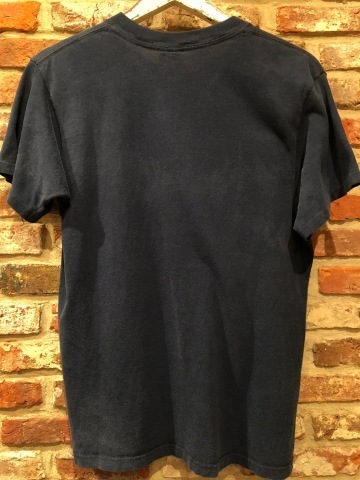 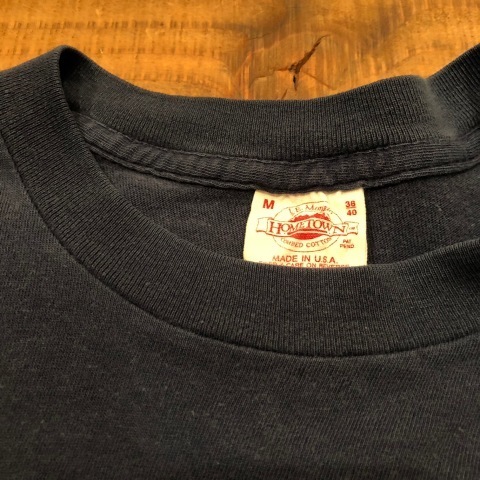 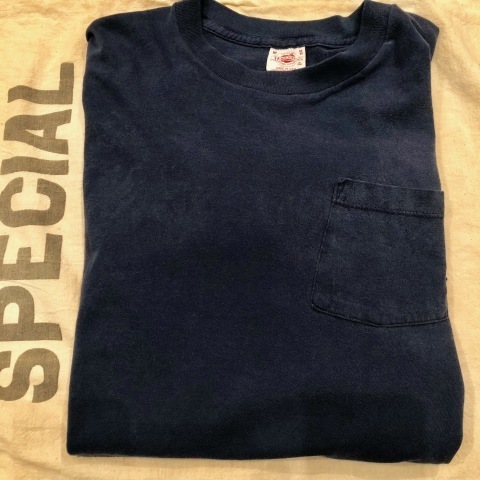 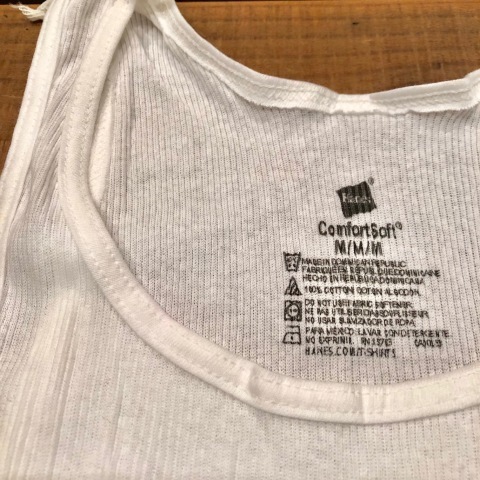 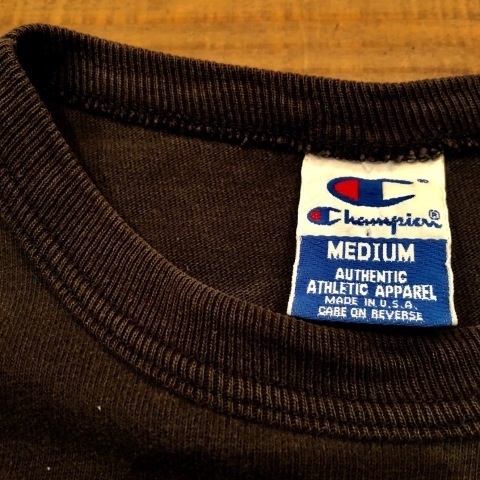 1970s " CHAMPION - BLUE bar tag - " 100% cotton - NUMBERLING - VINTAGE Tee SHIRTS . 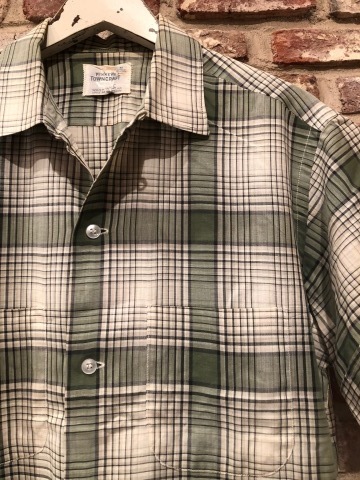 1960-70s " PENNEY'S - TOWN CRAFT - " 100% cotton S/S VINTAGE CHECK SHIRTS . 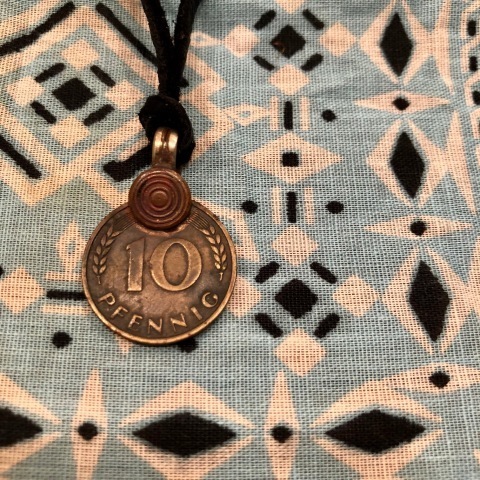 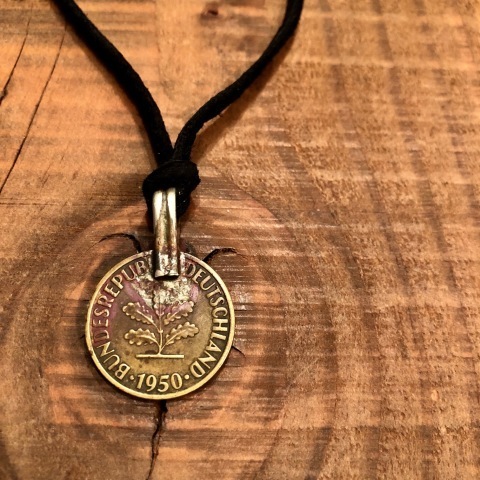 1950 " VINTAGE COIN " - D.I.Y - LEATHER CHOKER NECKLESS . 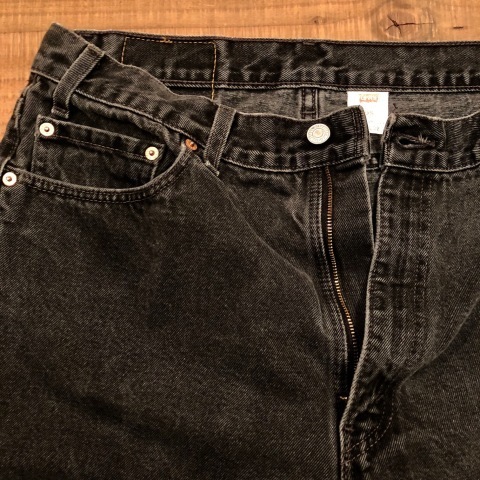 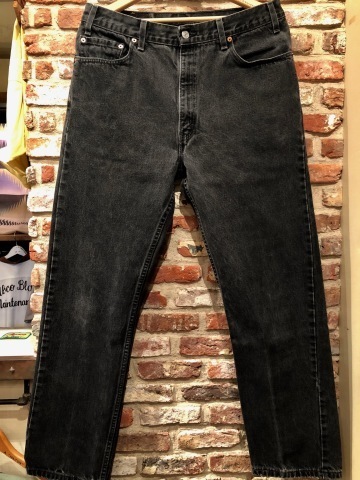 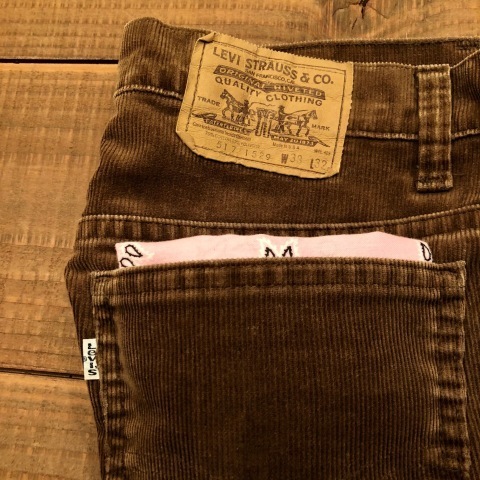 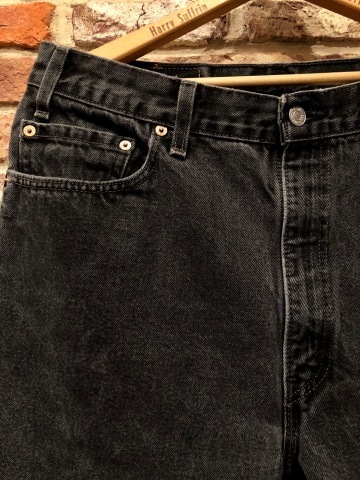 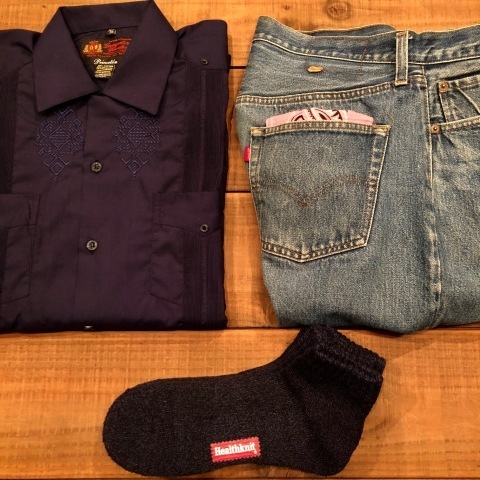 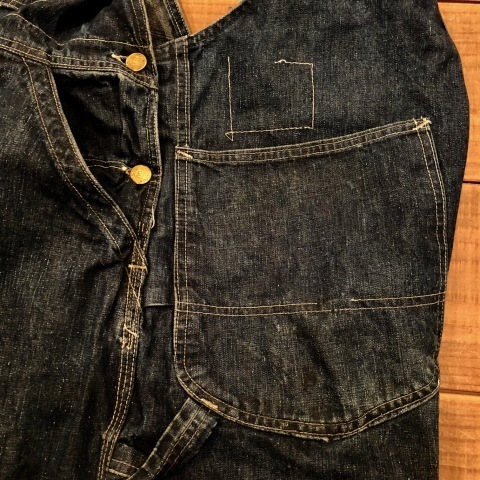 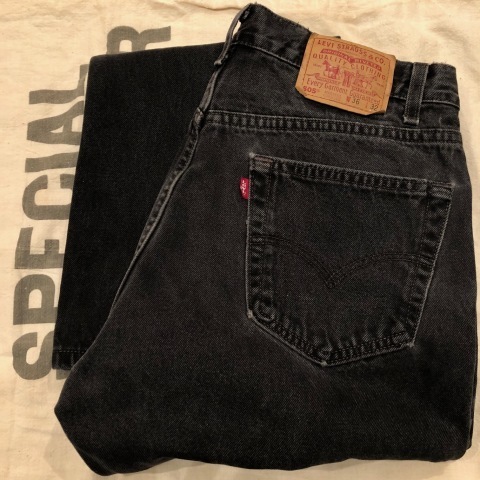 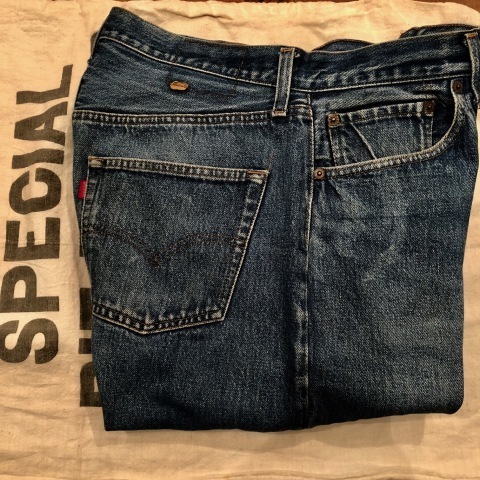 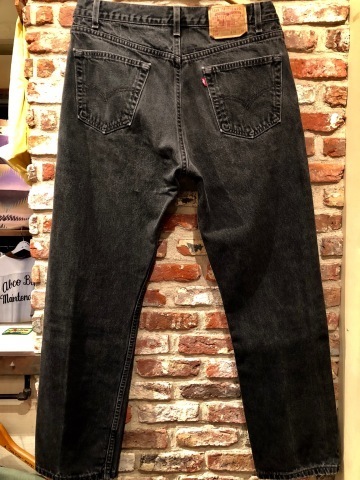 1989 " Levi's - RED TAB - " ５０５ model - 先染め BLACK DENIM - 5POCKET JEANS . 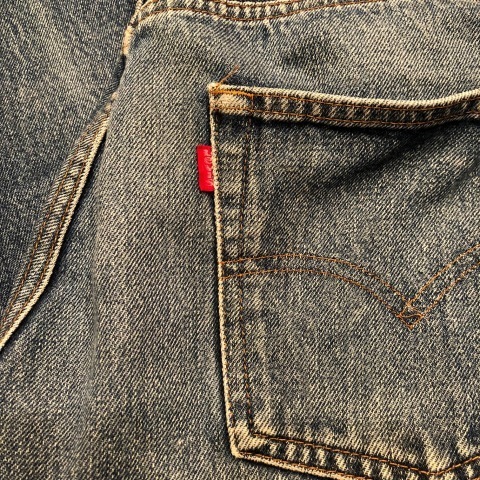 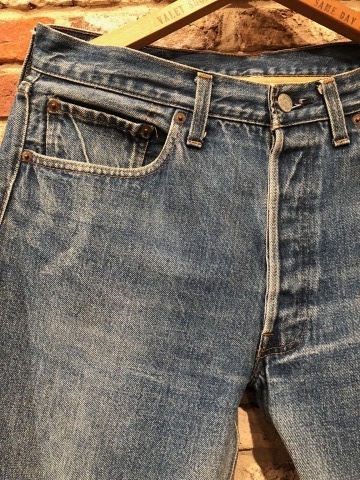 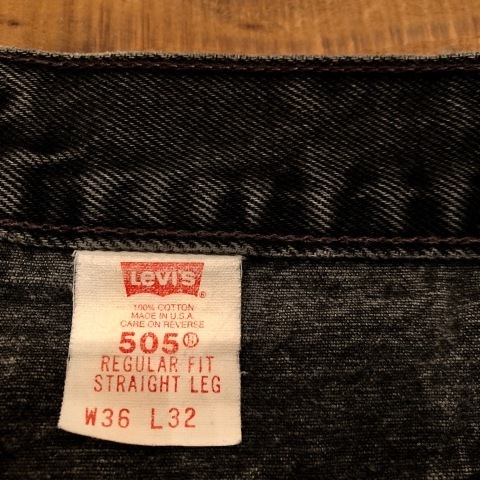 1982-84 " Levi's " ５０１ - RED LINE model - VINTAGE DENIM 5POCKET JEANS . 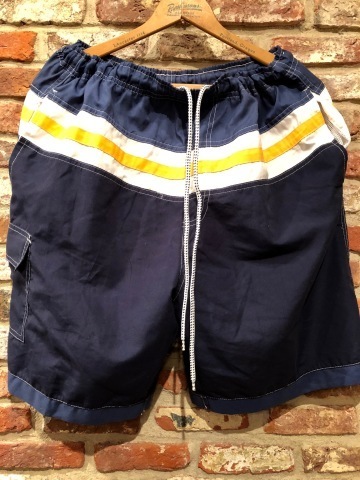 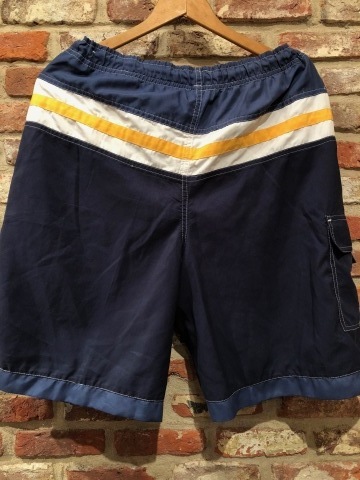 1970s " CARTER'S " 100% cotton - Light BLUE - DENIM SHORTS " New Old STOCK " . 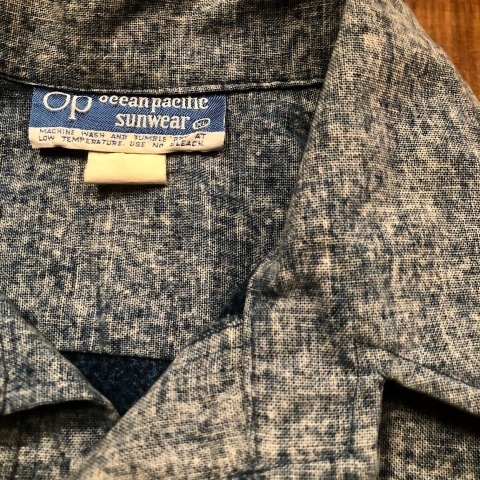 1970s " O.P - OCEAN PACIFIC - " 60/40 - BACK CLOTH - vintage P/O SHIRTS . 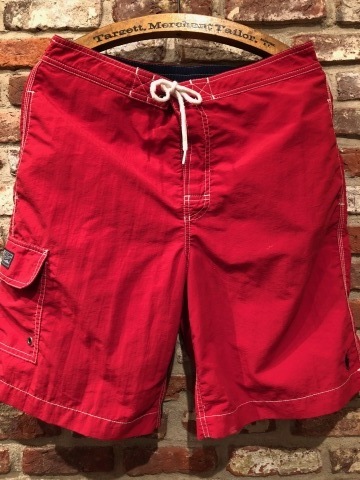 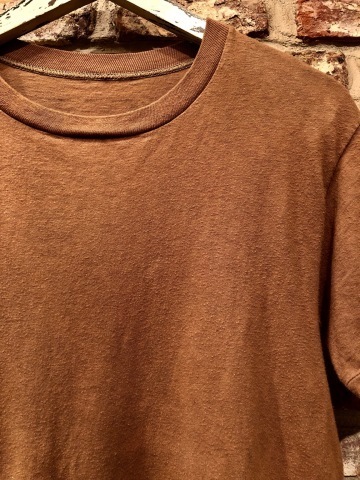 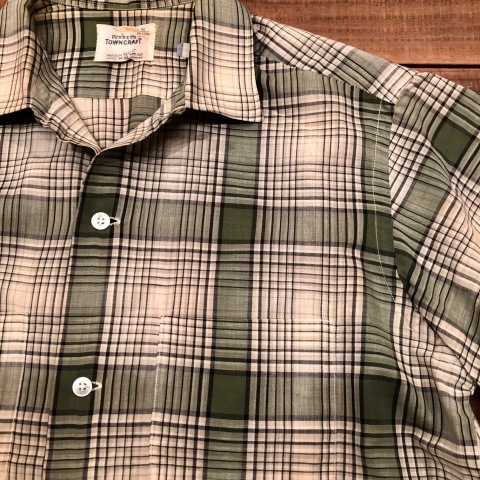 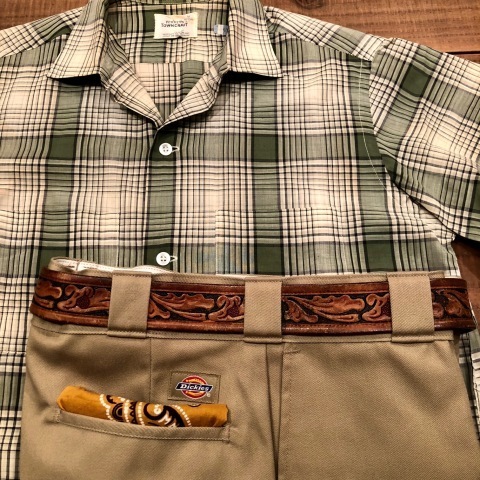 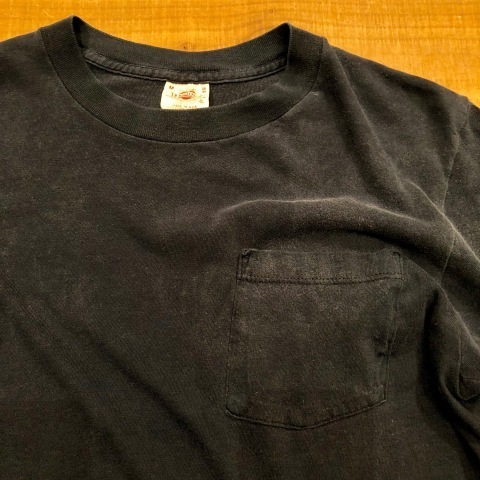 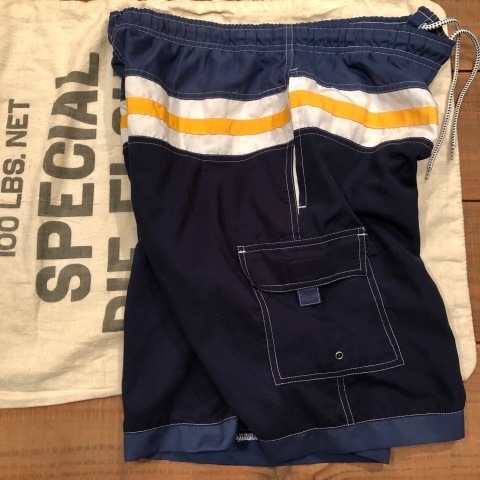 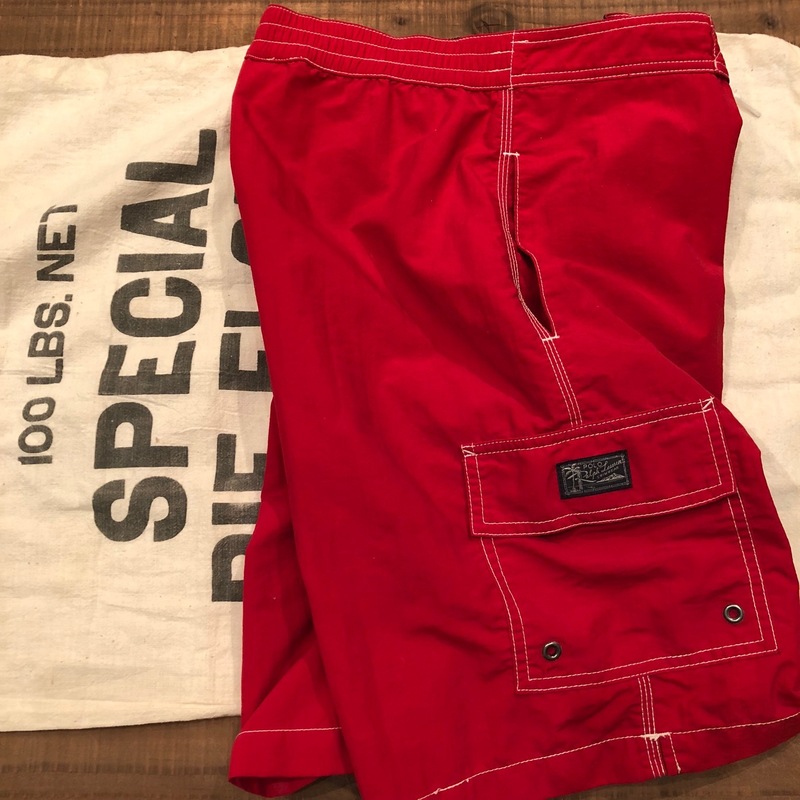 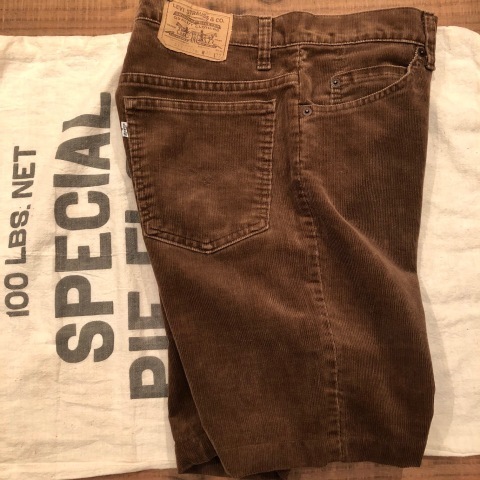 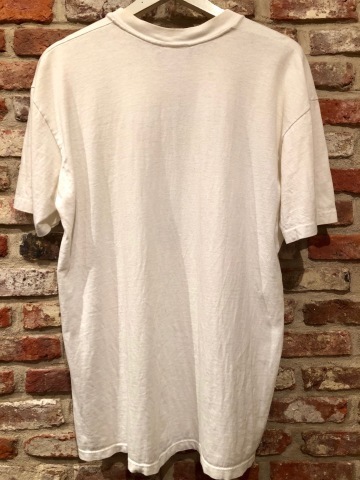 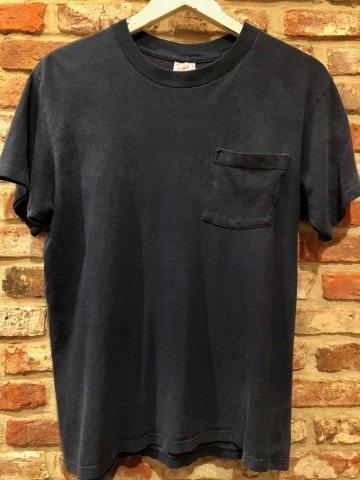 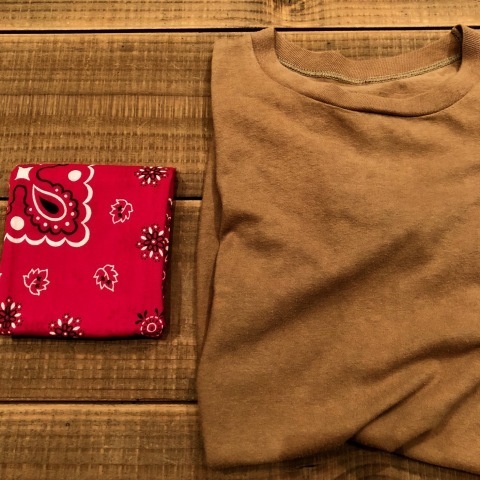 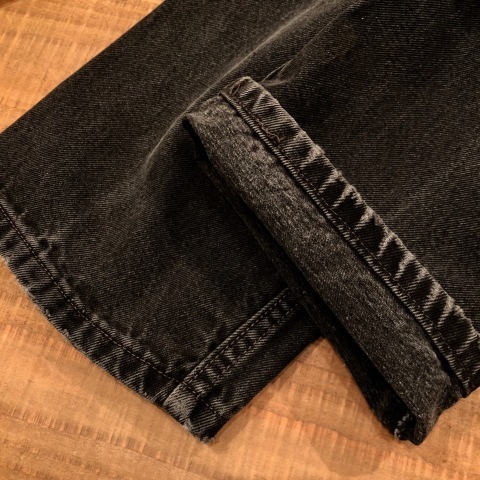 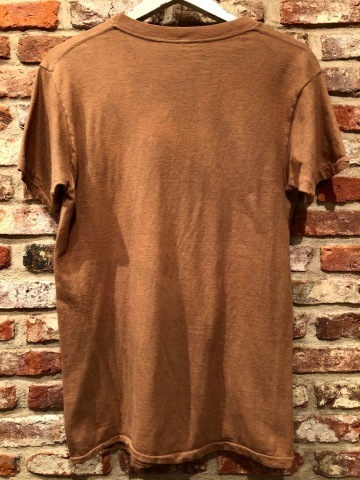 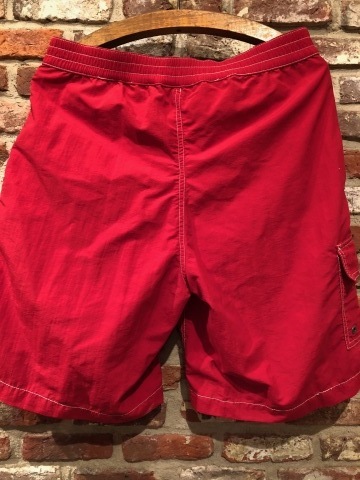 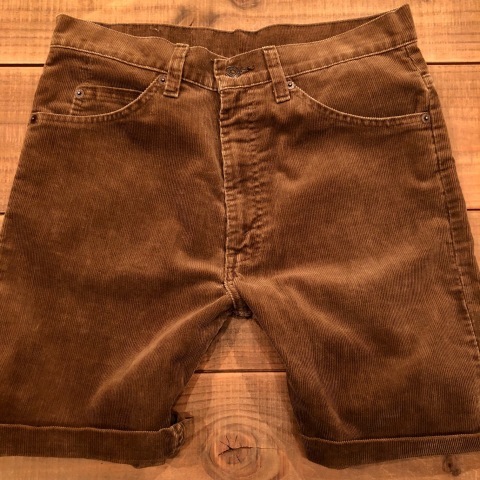 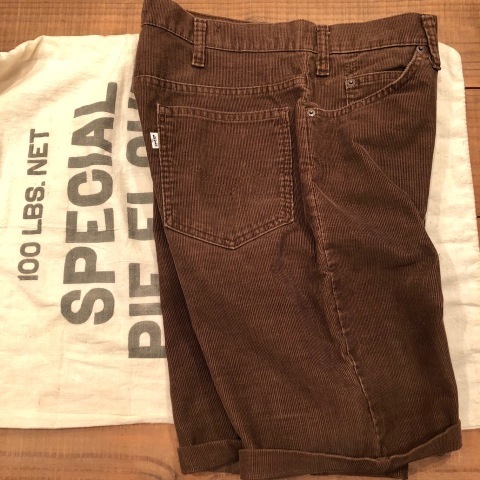 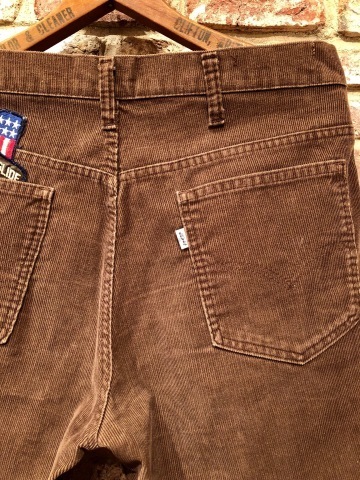 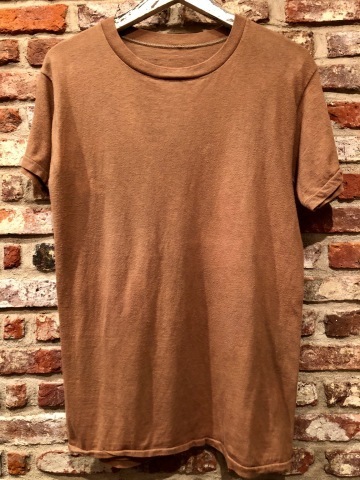 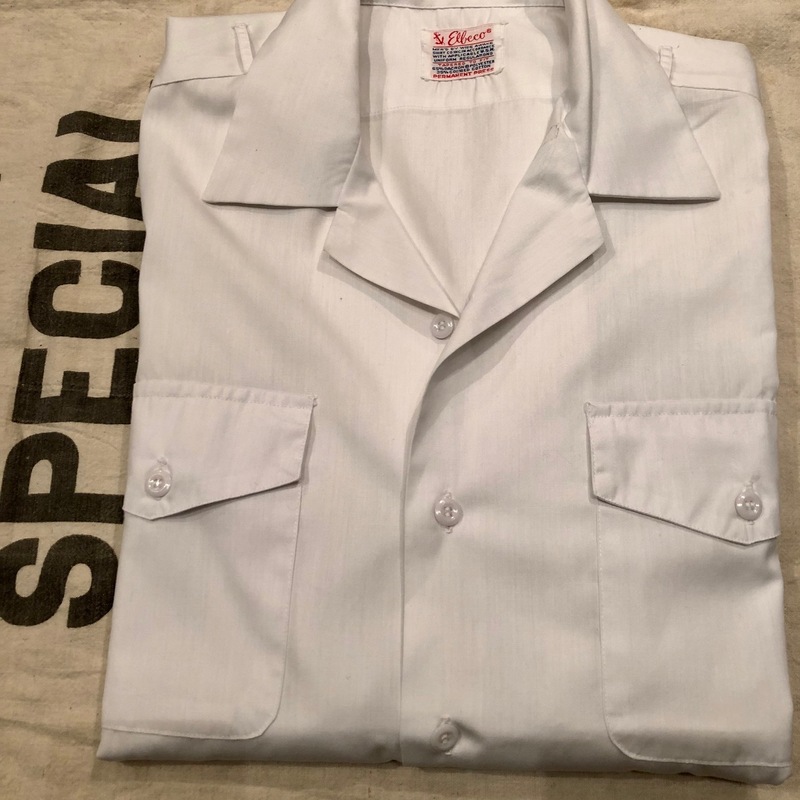 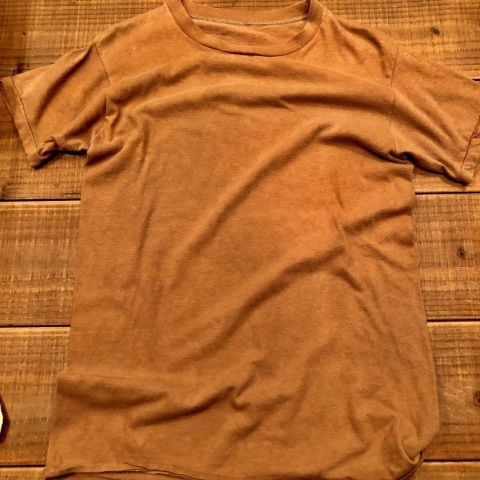 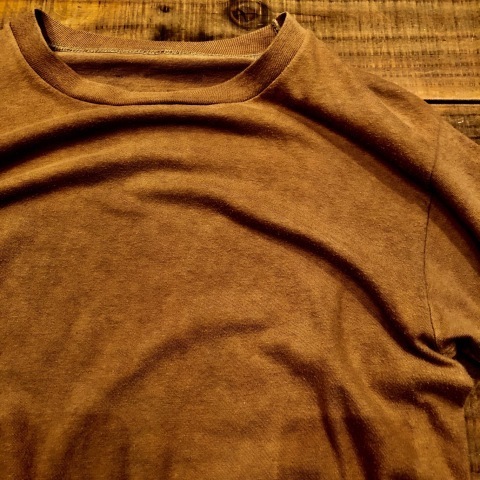 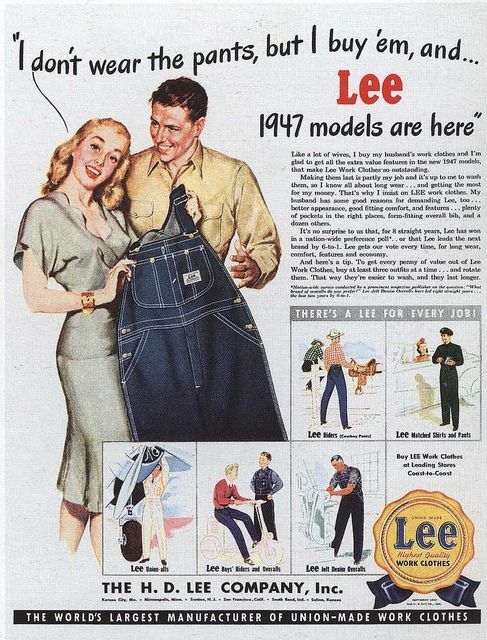 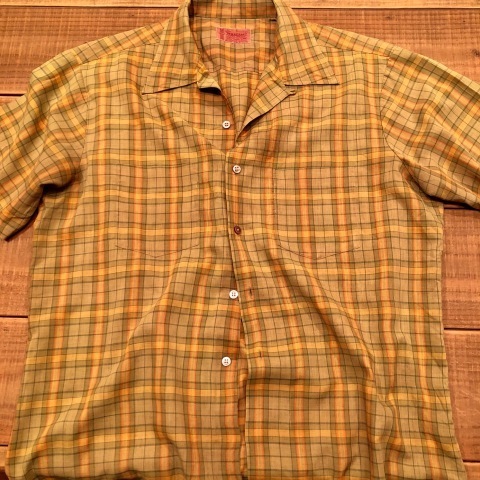 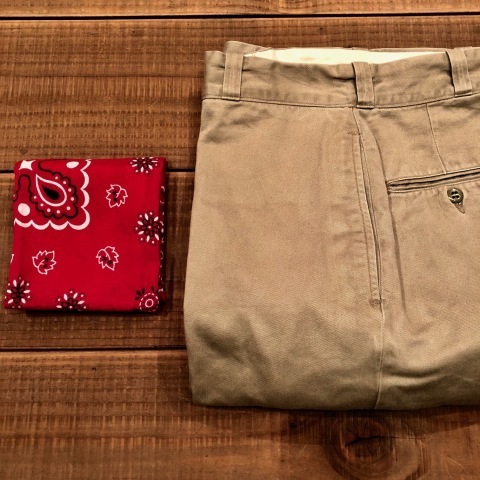 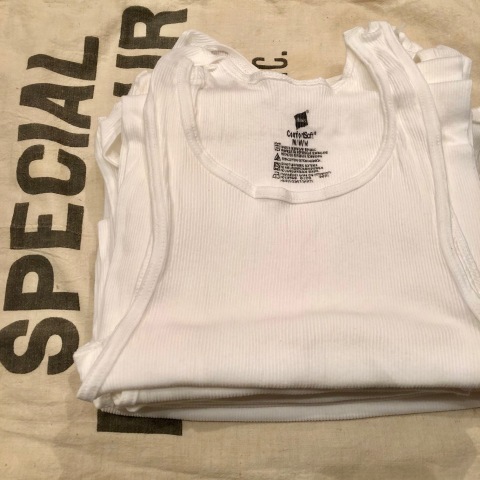 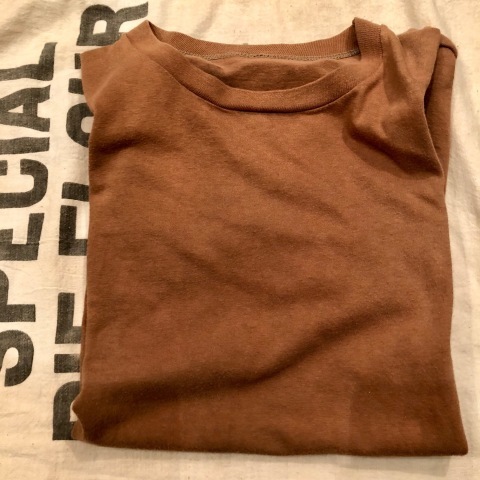 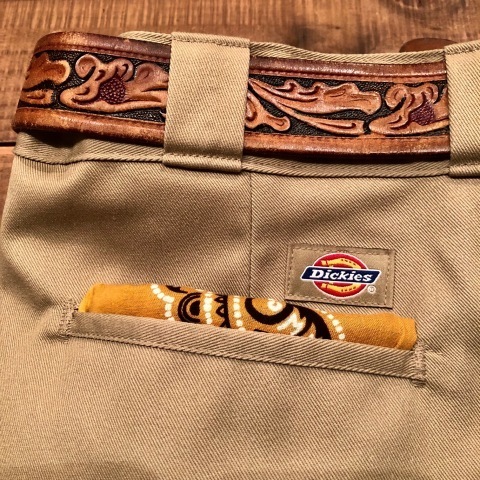 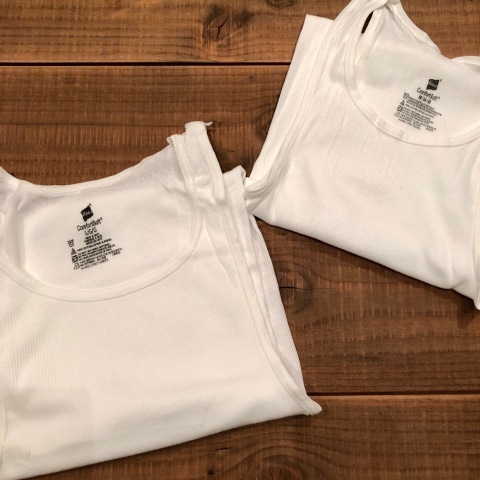 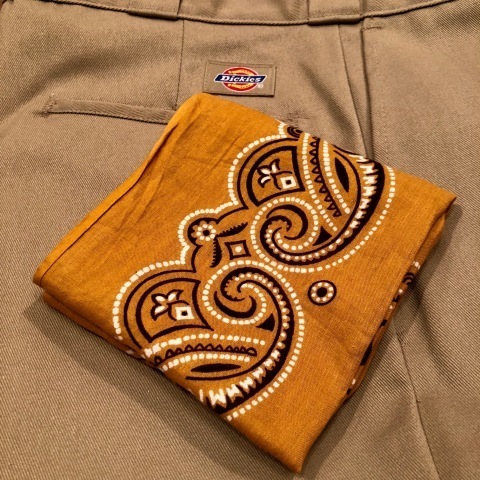 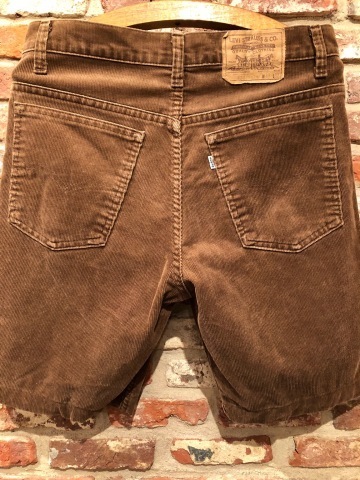 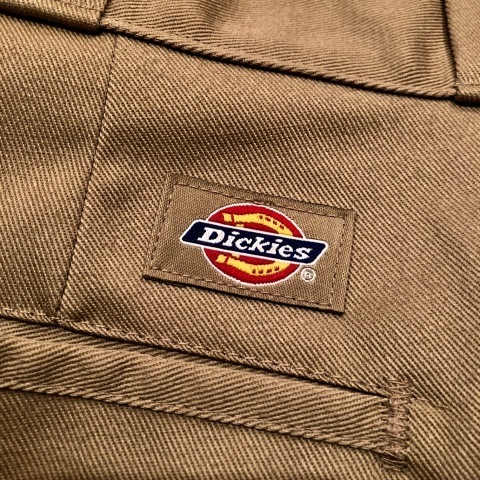 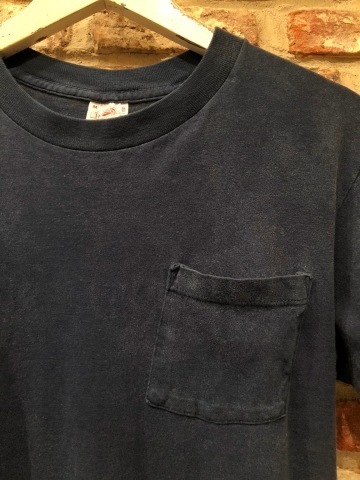 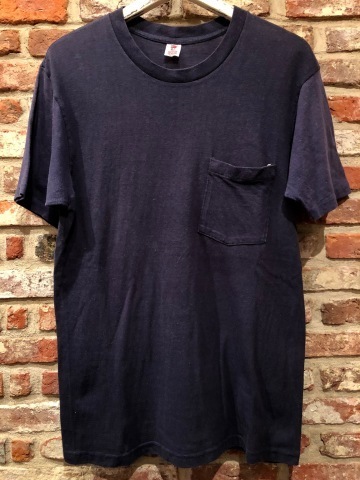 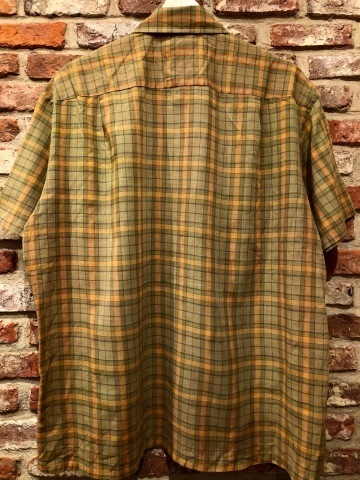 1960s " BIG MAC " 100% cotton 14oz. 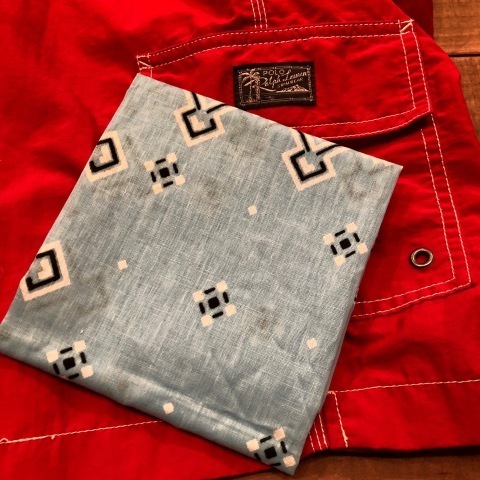 DENIM vintage PAINTER PANTS - ONE WASHED - . 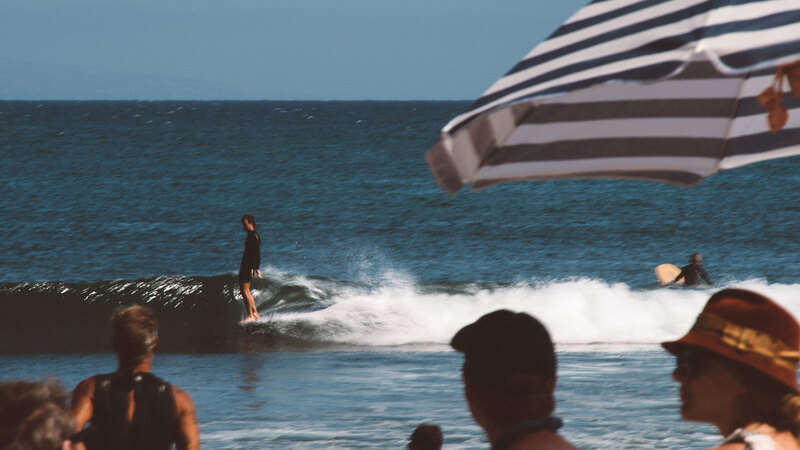 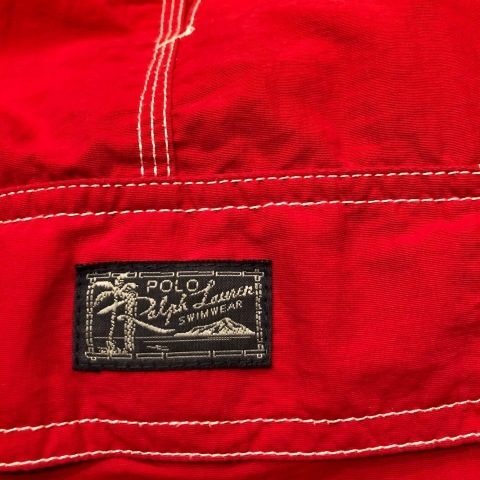 1970s " HANG TEN " OLD SKOOL - Multi Border - Long Point POLO- SHIRTS . 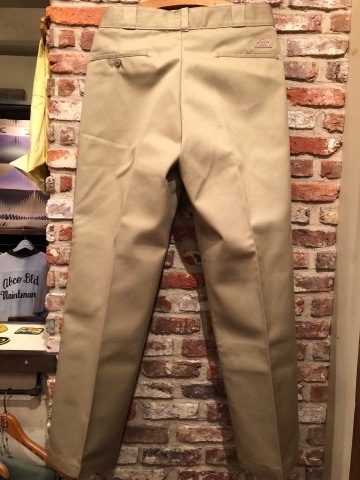 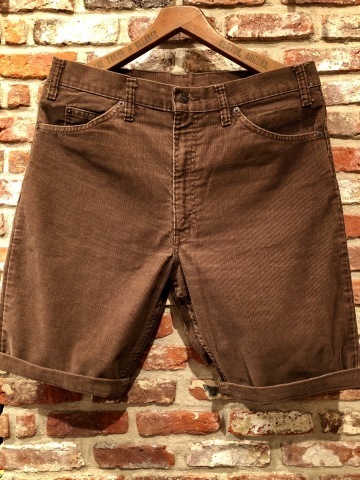 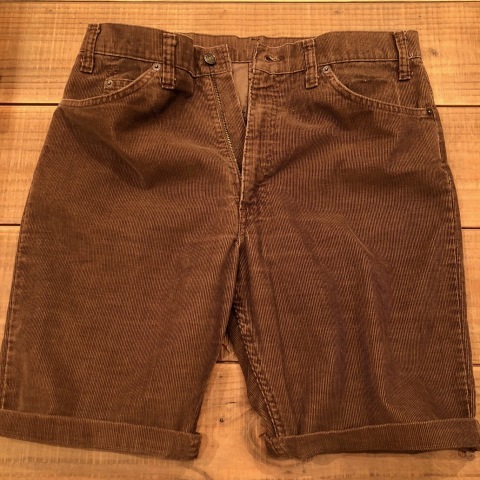 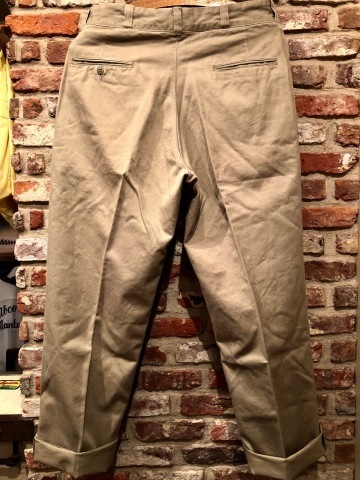 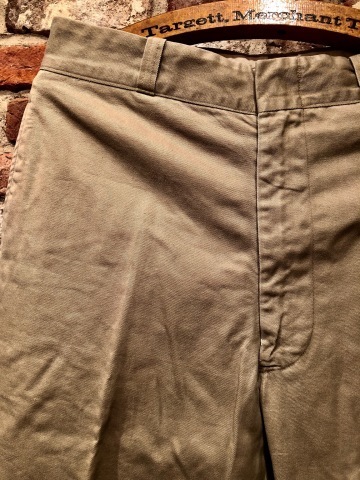 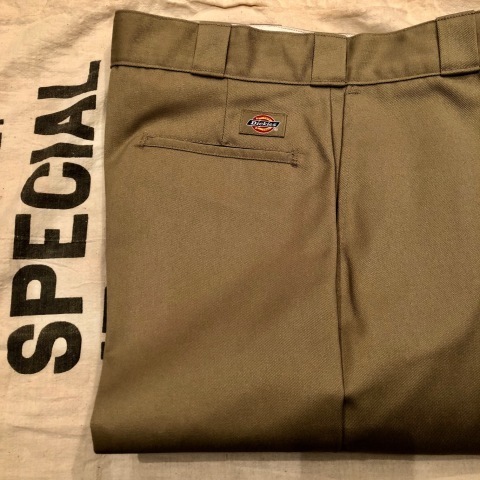 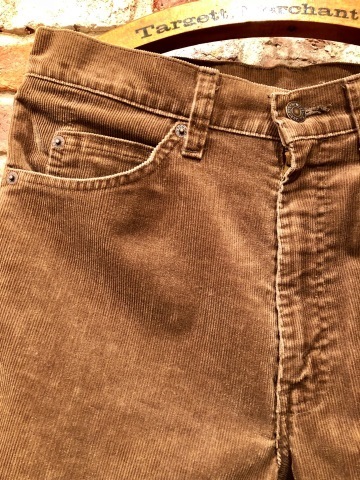 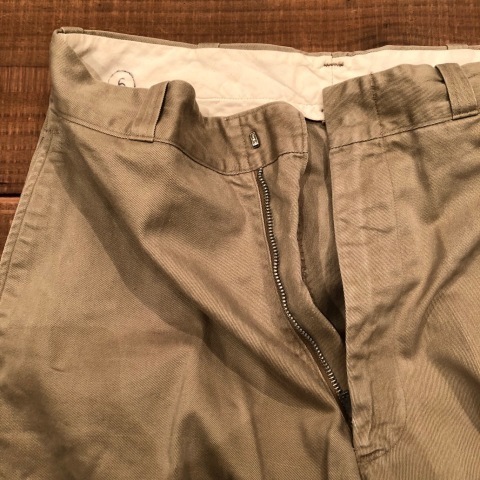 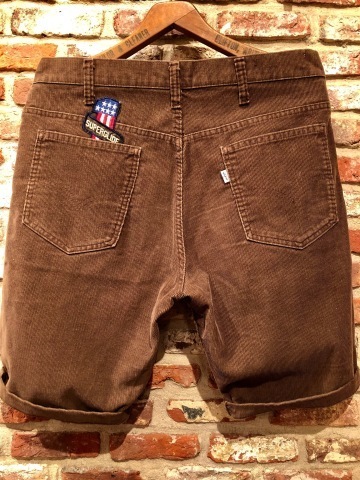 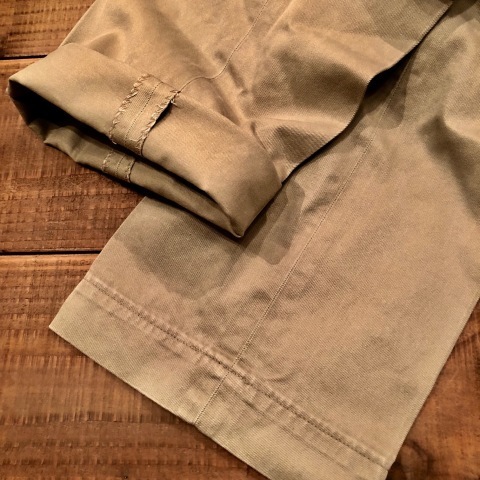 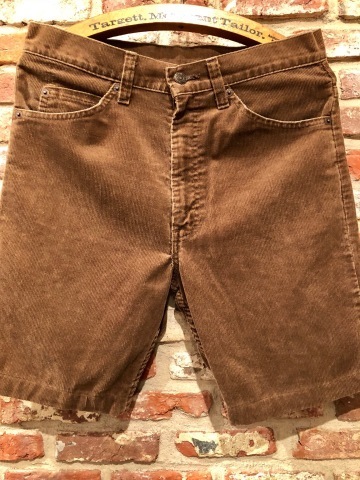 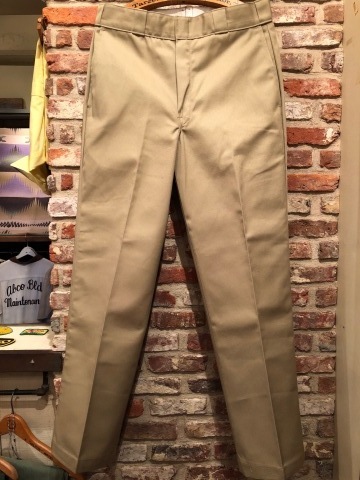 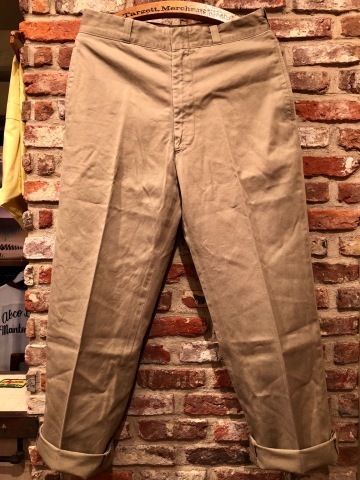 1940s " U.S ARMY " VINTAGE - M43 KHAKI - 100% cotton CHINOS TROUSER . 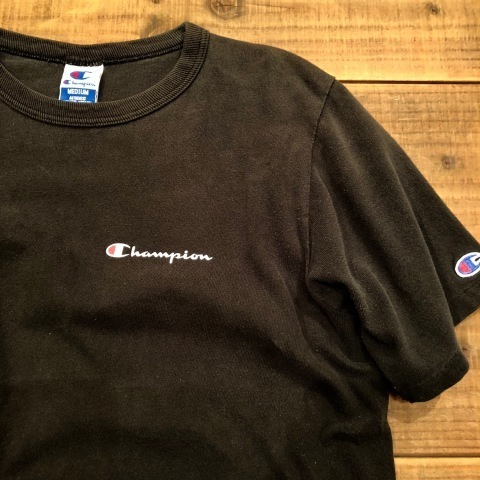 1970s " CHAMPION - BLUE bar tag - " 100% cotton - VINTAGE - VARSITY Tee SHIRTS . 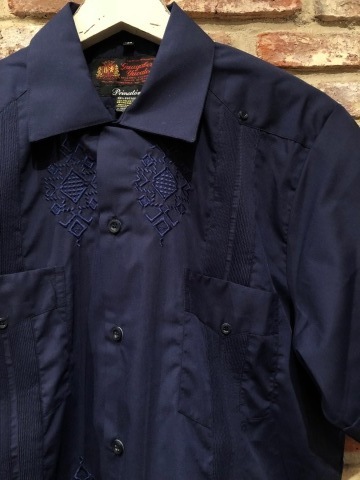 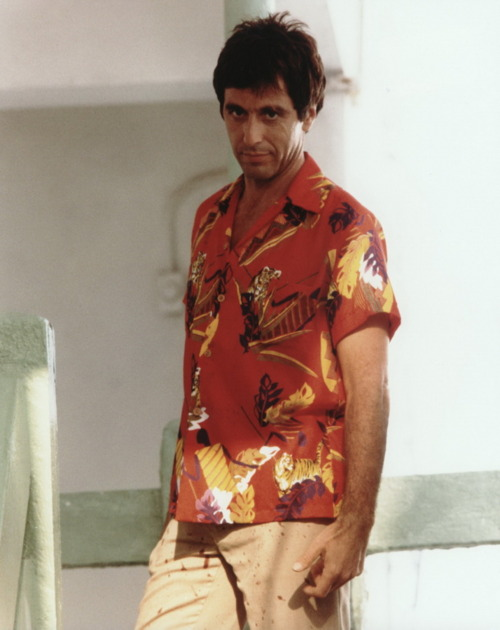 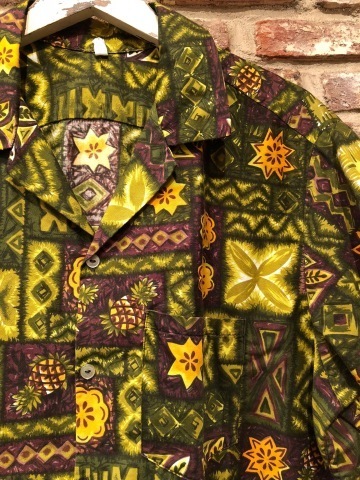 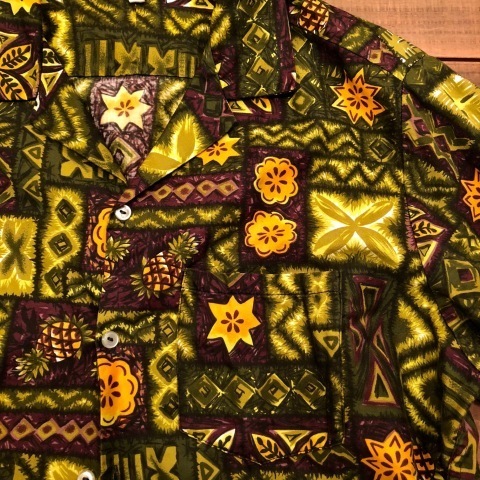 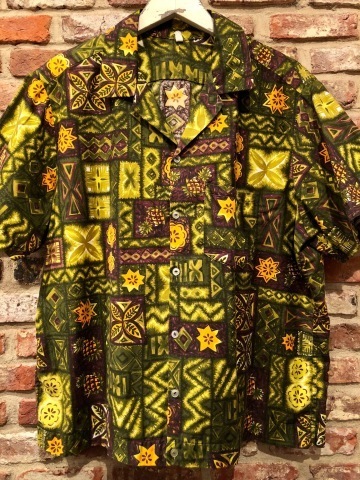 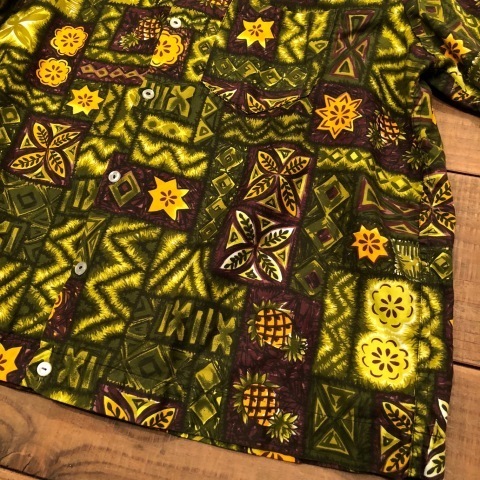 1980s " KENNINGTON - California - " 100% RAYON - BLACK HAWAIIAN - SHIRTS . 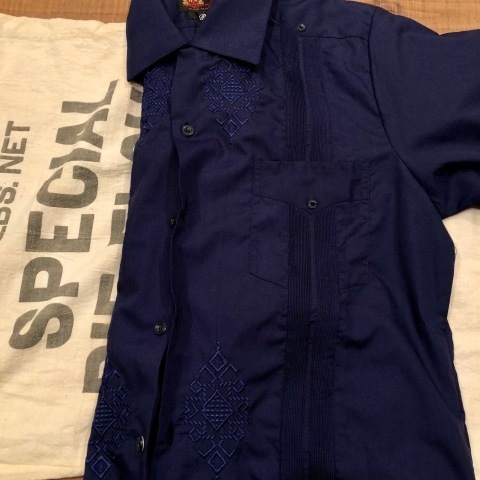 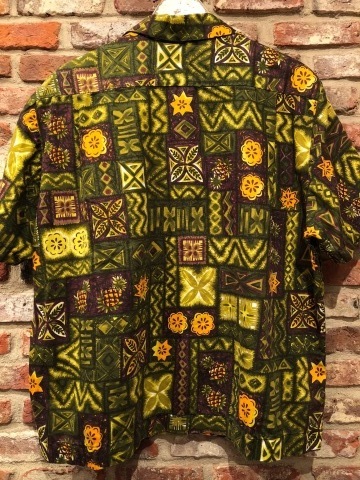 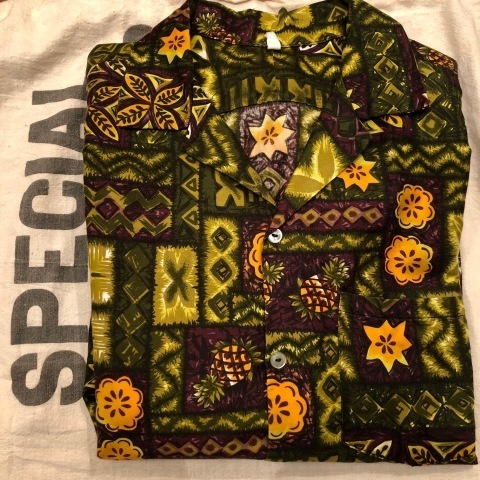 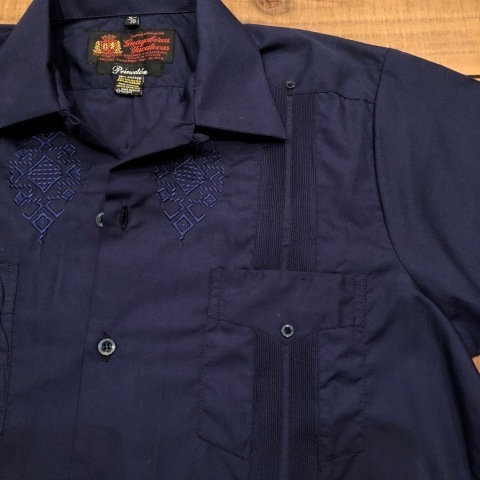 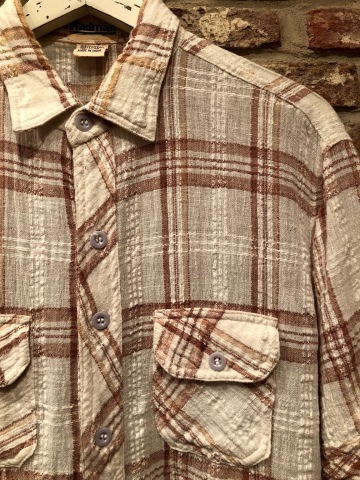 1980-90s " PRINCETON " cotton＆poly - New Old Stock - VINTAGE CUBA SHIRTS . 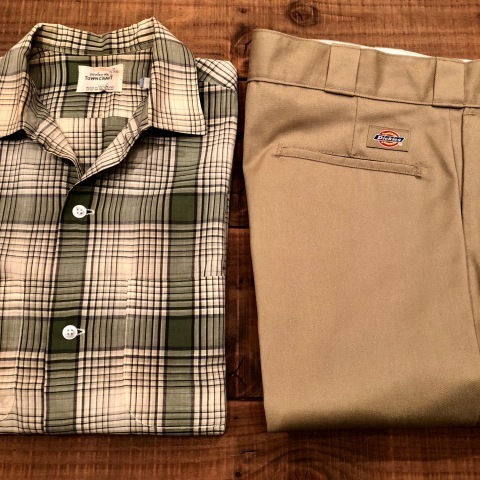 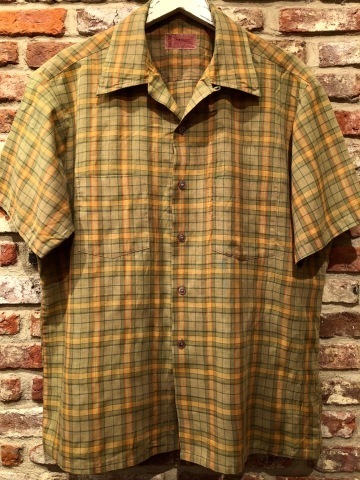 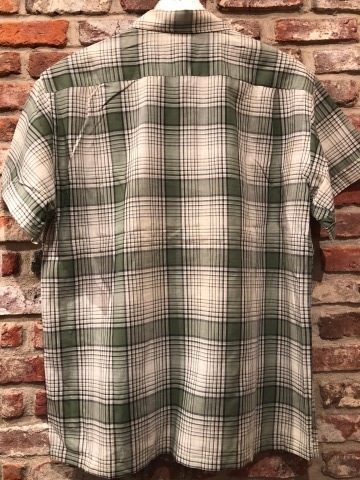 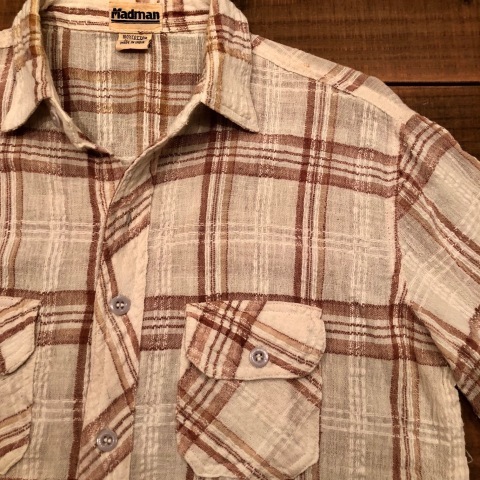 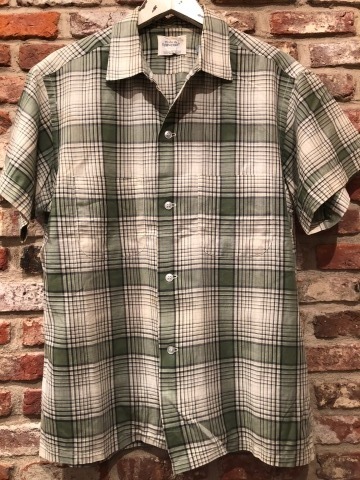 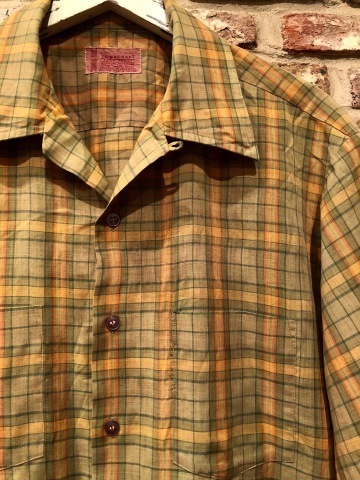 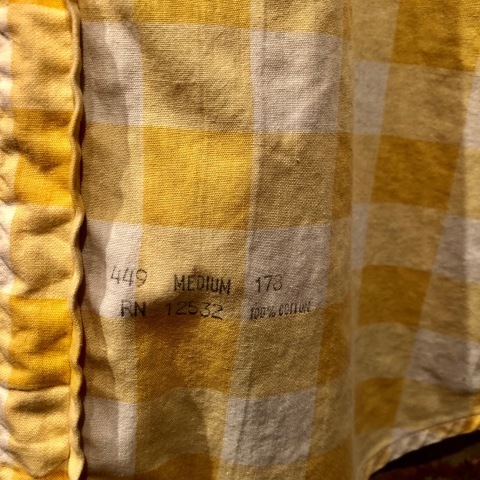 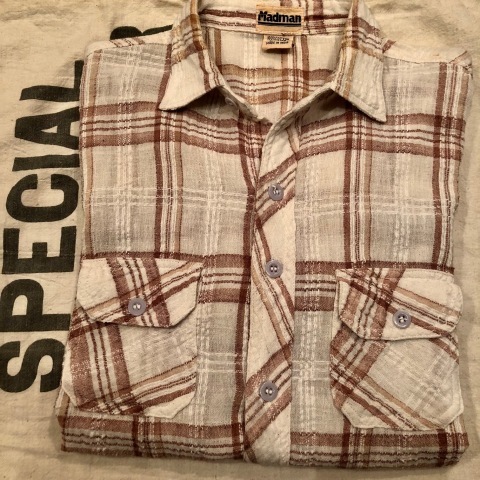 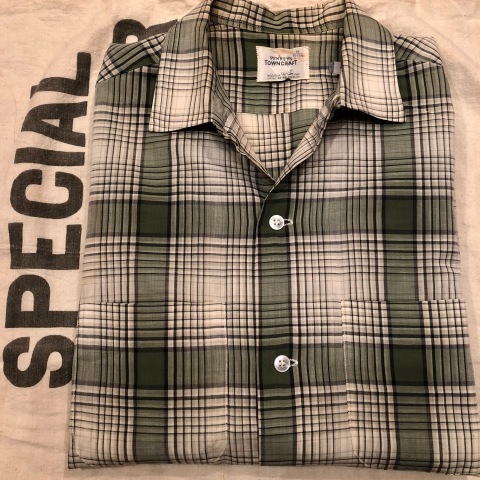 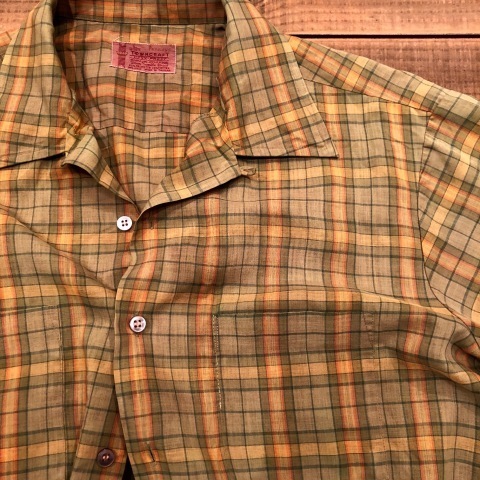 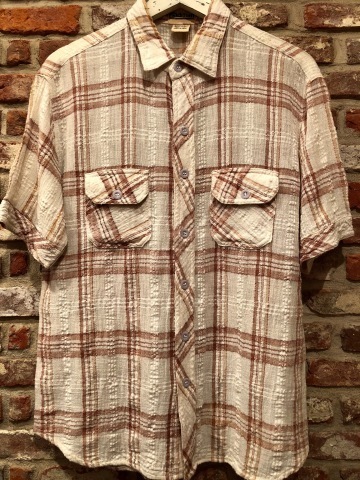 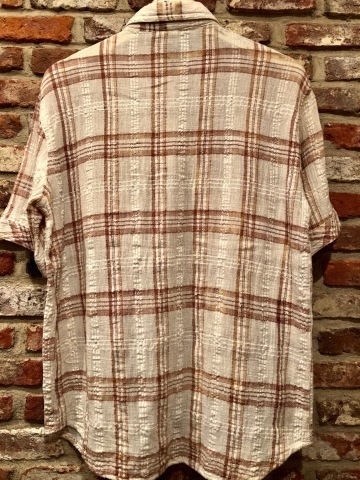 BRAND : 1970s " Madman "
MADRAS CHECK S/S SHIRTS . 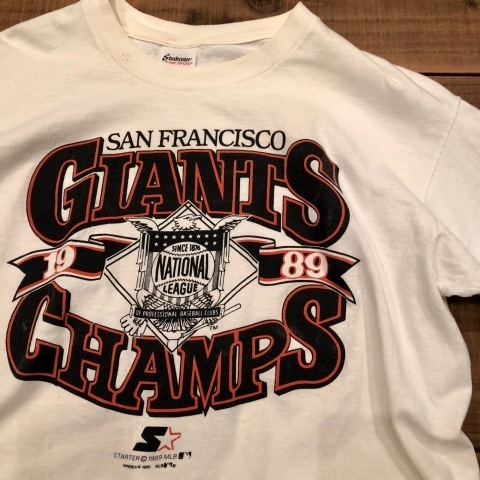 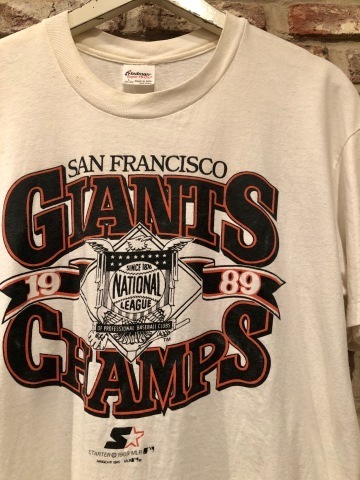 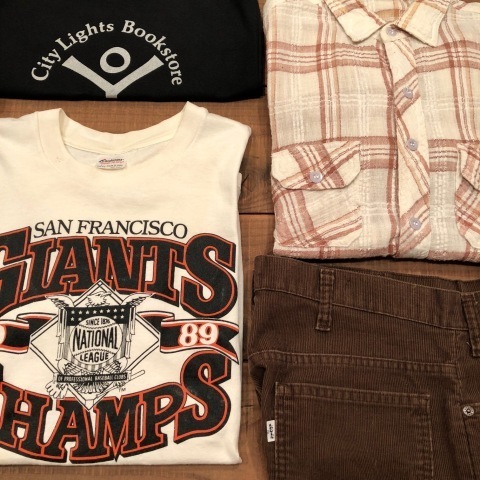 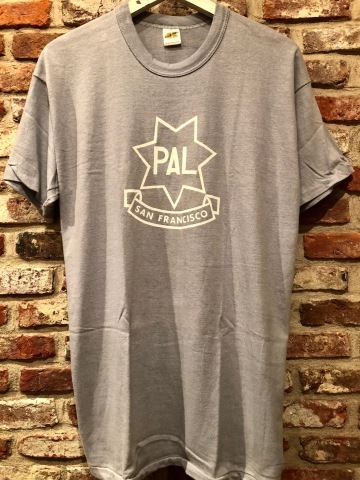 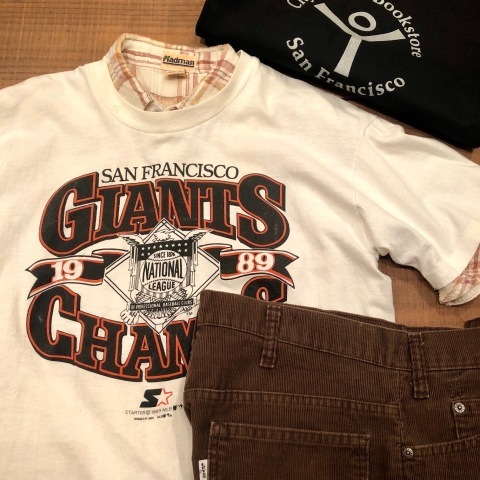 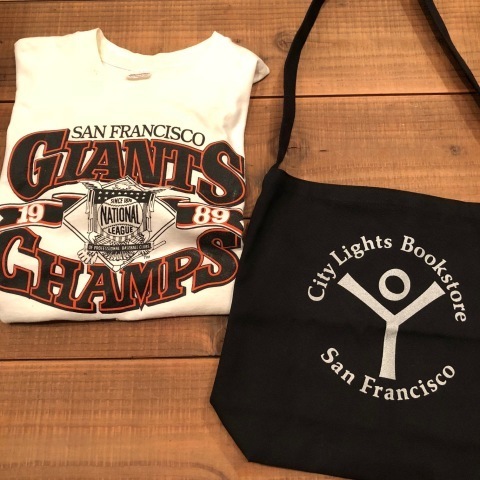 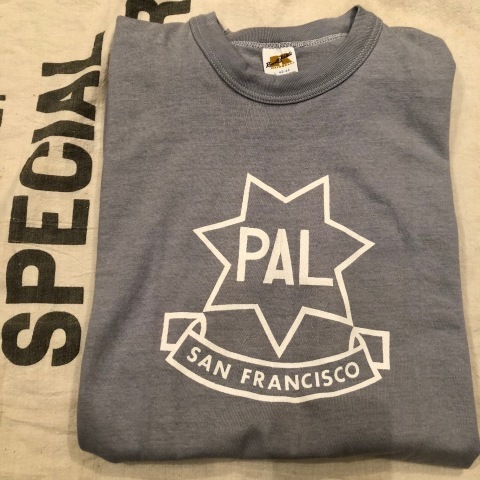 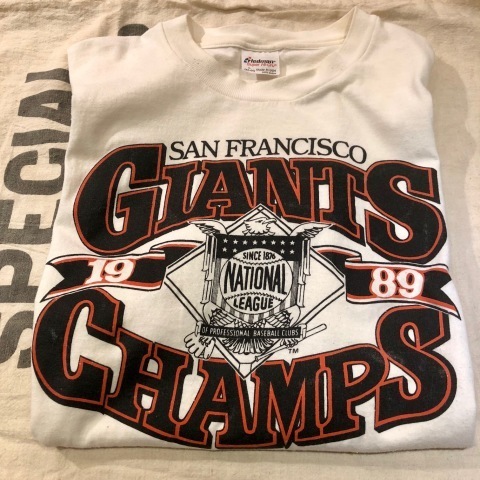 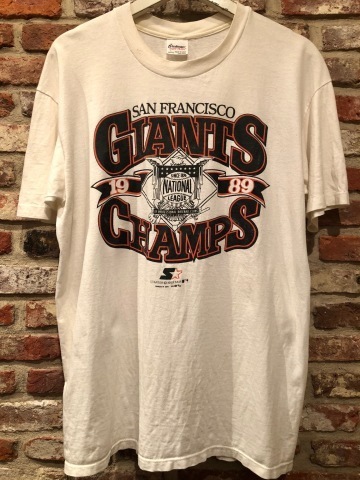 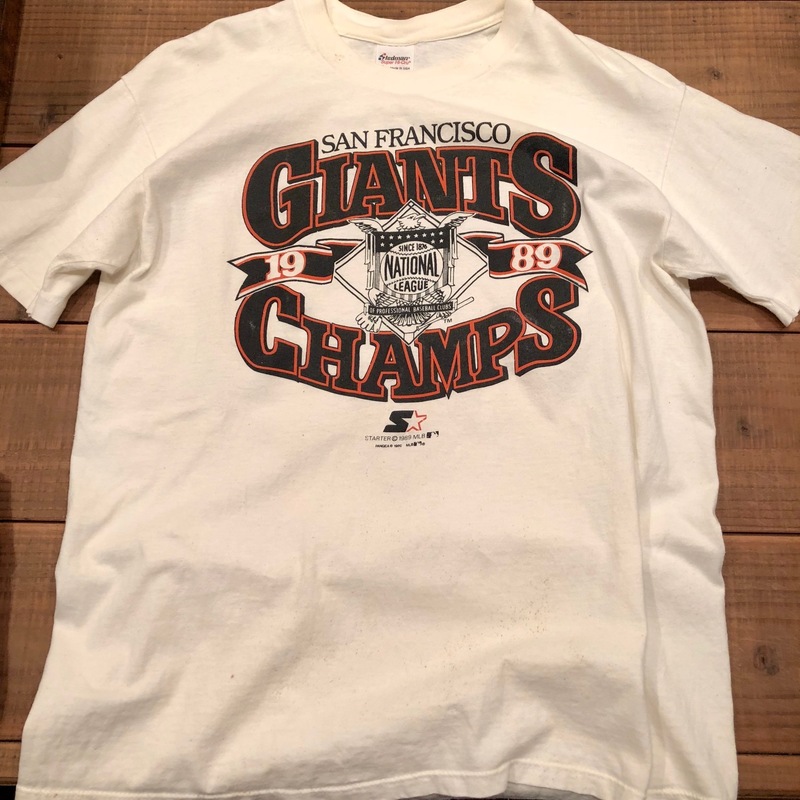 1989 " STARTER × S.F GIANTS "
BRAND : 1989 "STARTER × S.F GIANTS "
VINTAGE MLB Tee SHIRTS .
" 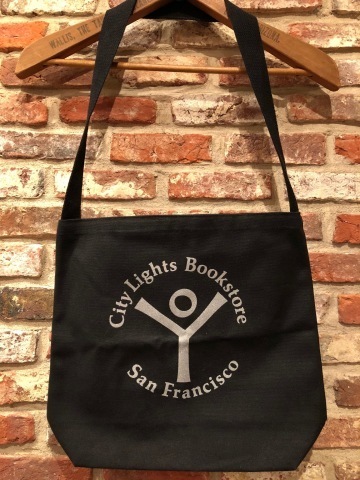 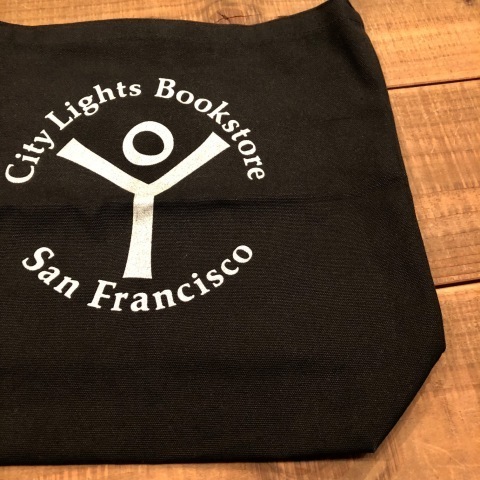 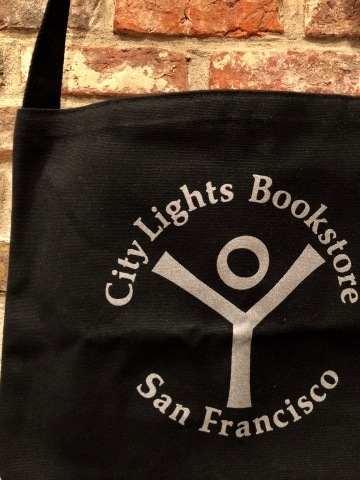 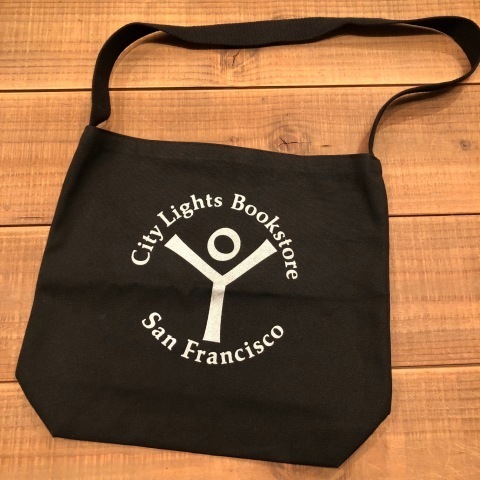 CITY LIGHTS BOOK STORE "
BRAND : " CITY LIGHTS BOOK STORE "
- CITY LIGHTS original - MAGAZINE BAG . 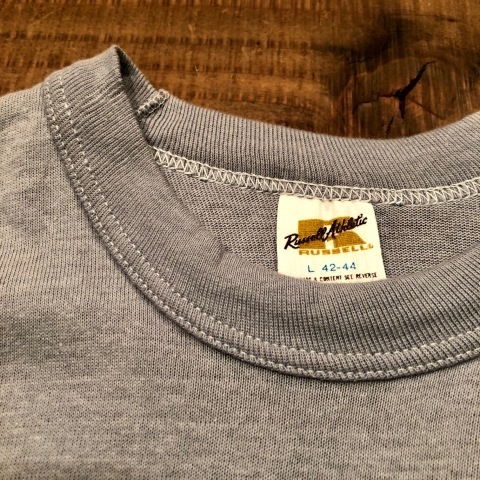 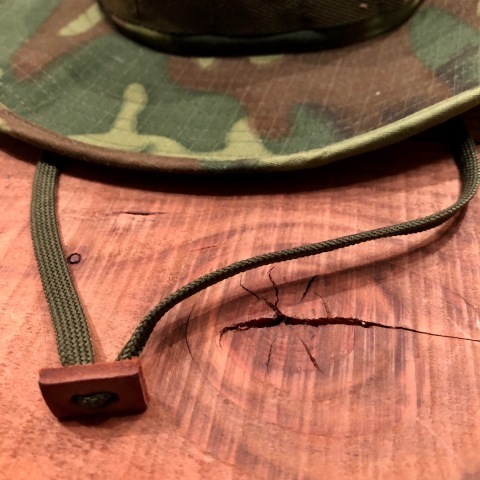 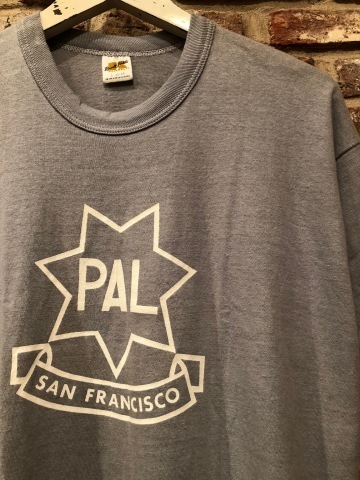 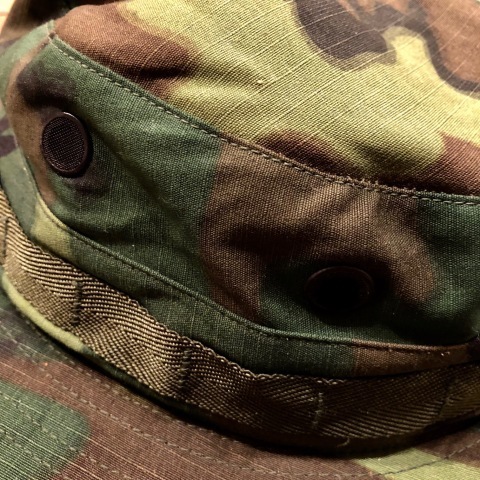 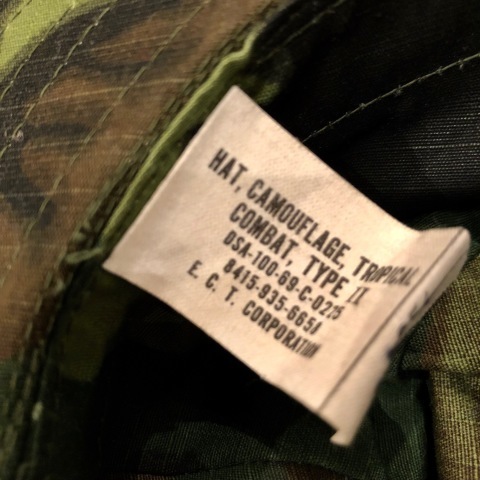 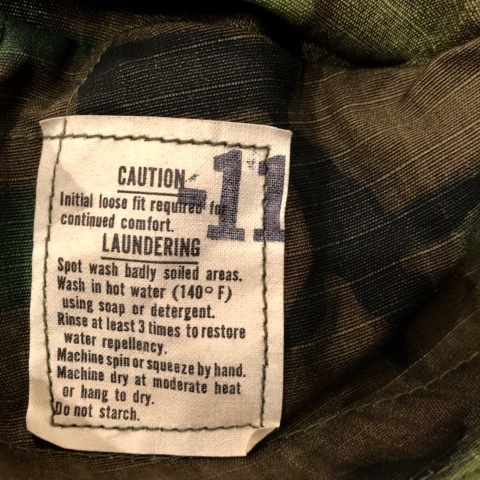 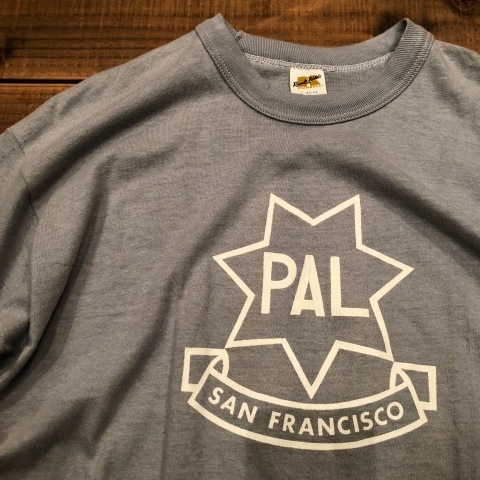 1970s " U.S ARMY "
BRAND : 1970s " U.S ARMY "
- American KHAKI - CREW Tee SHIRTS . 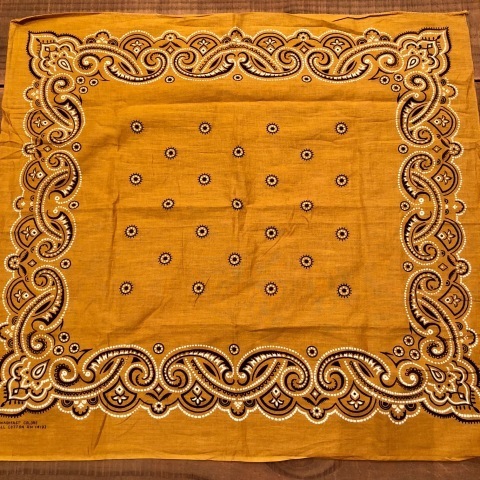 1960s " PARIS ACCESSORIES "
BRAND : 1960s " PARIS ACCESSORIES "
- COOKIE pattern - BANDANNA . 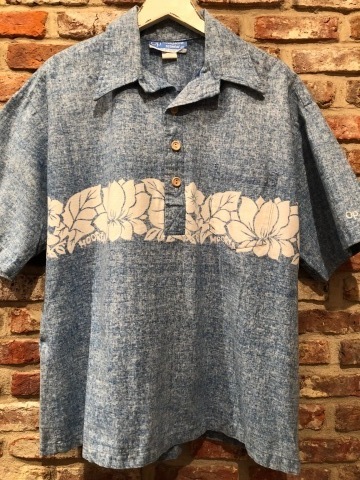 丁度良い " ６０ｓ チノーズ "
※ 写真は ２回 ロールアップしております . 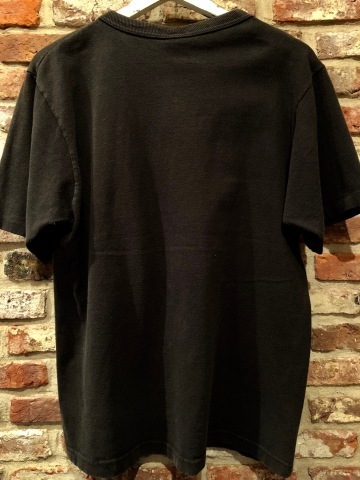 - BLACK - Tee SHIRTS . 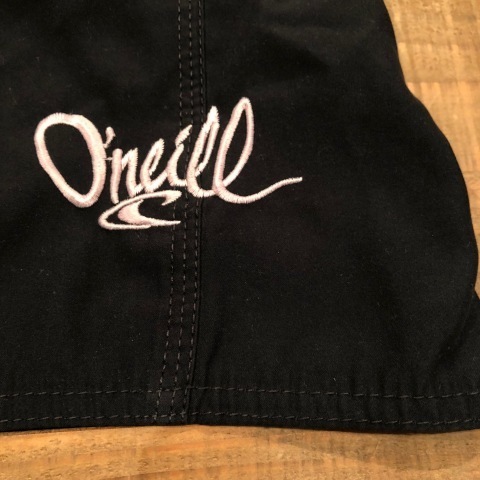 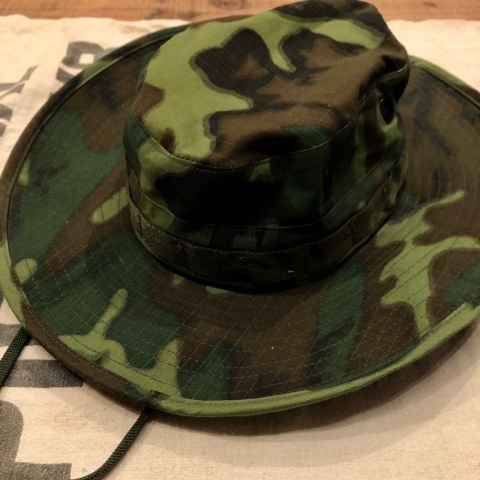 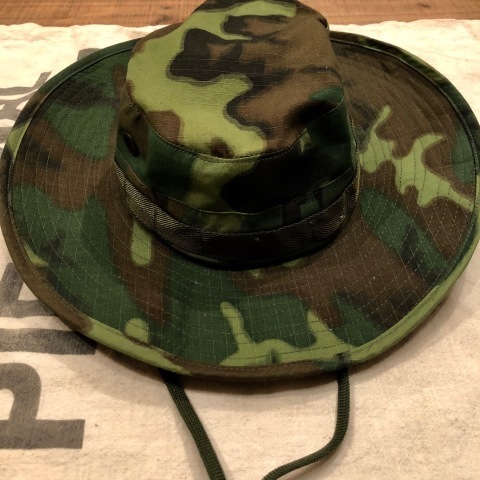 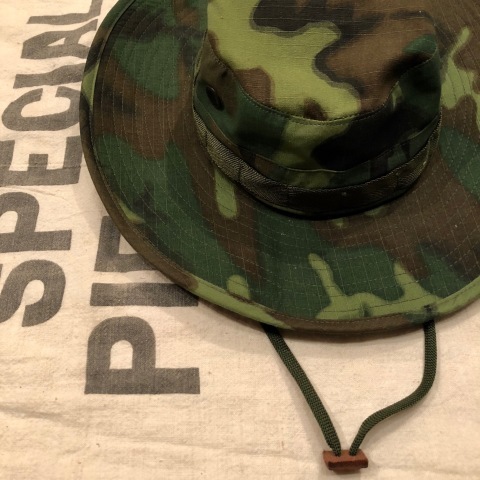 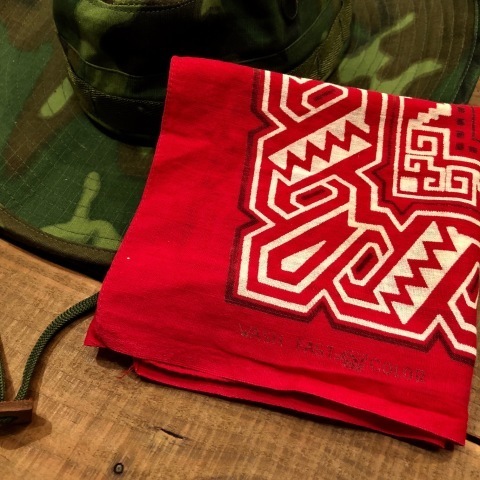 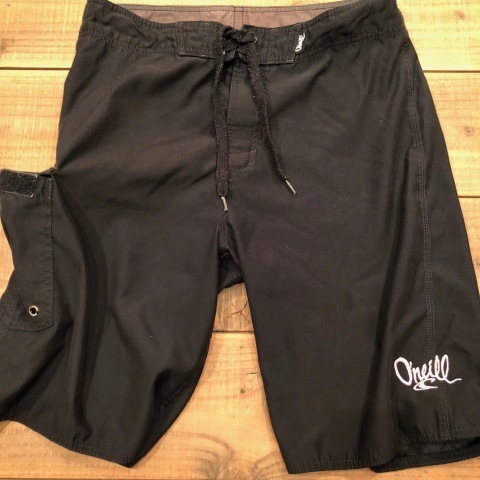 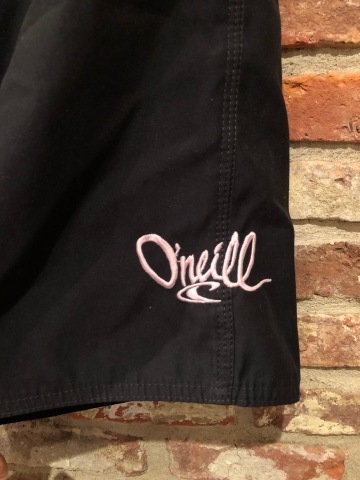 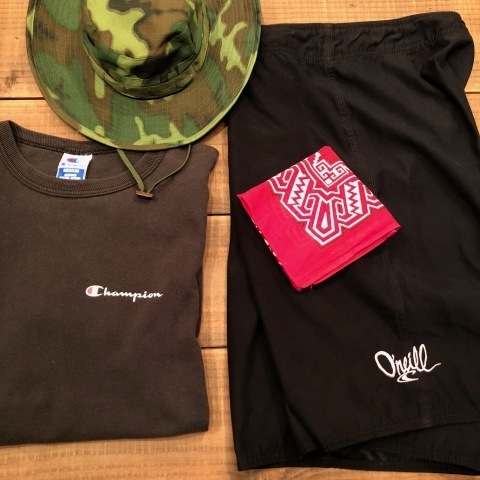 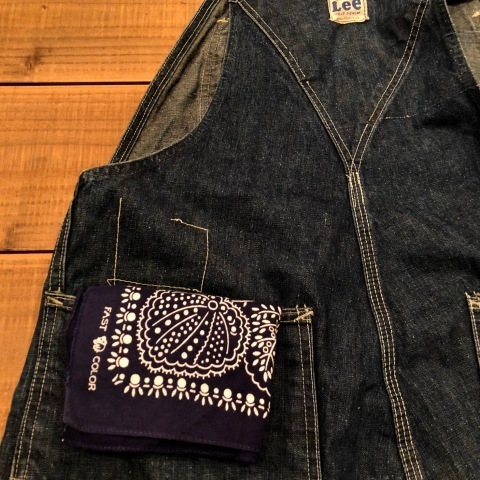 BRAND : 1990s " Oneill "
1940-50s " TIGER BRAND "
BRAND : 1940-50s " TIGER BRAND "
- WPL 9939 - VINTAGE BANDANA . 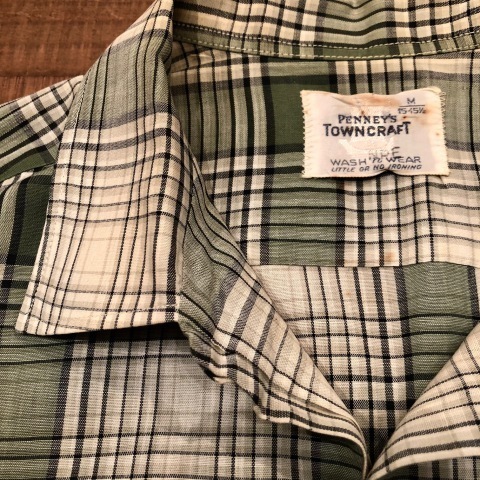 1970s " Penneys - TOWN CRAFT - "
" オープンカラー ＆ ボックステイル "
BRAND : 1970s " Penneys - TOWN CRAFT - "
- CLASSIC - CHECK S/S SHIRTS .
" 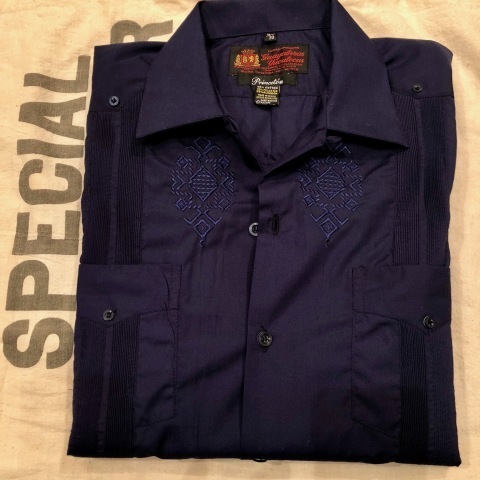 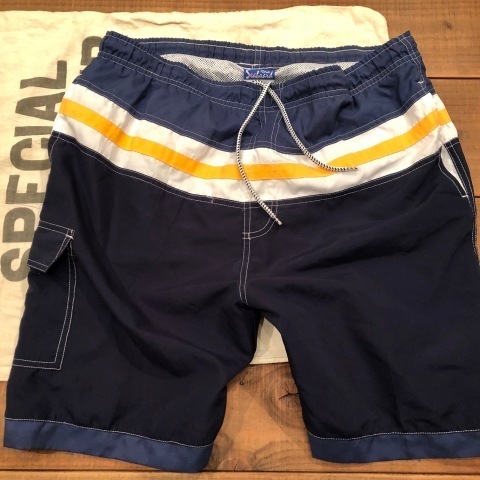 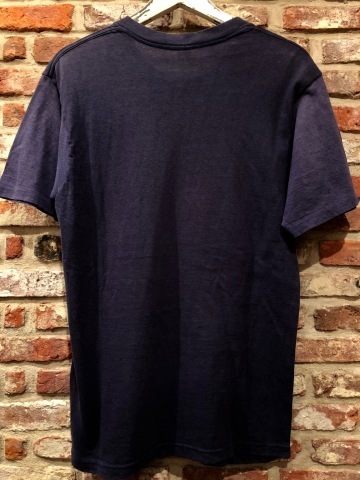 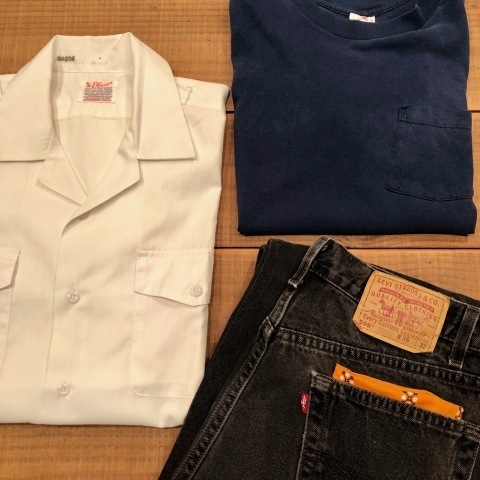 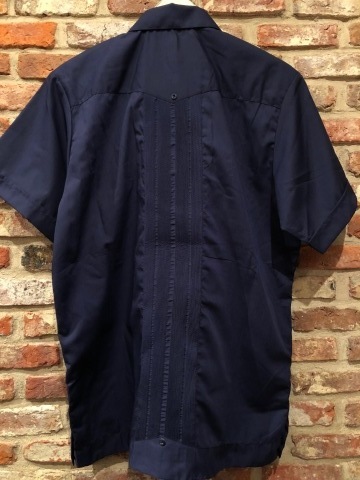 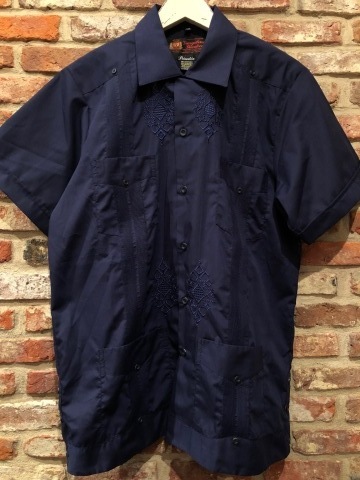 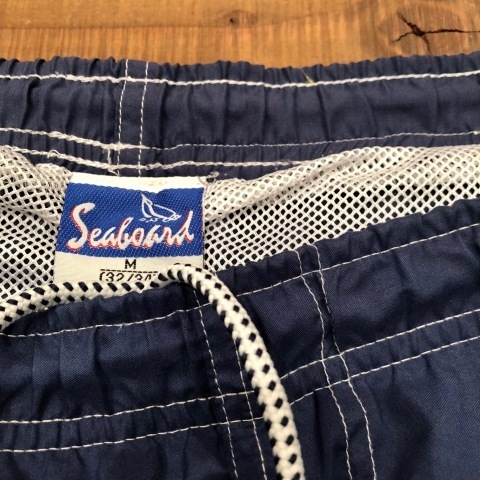 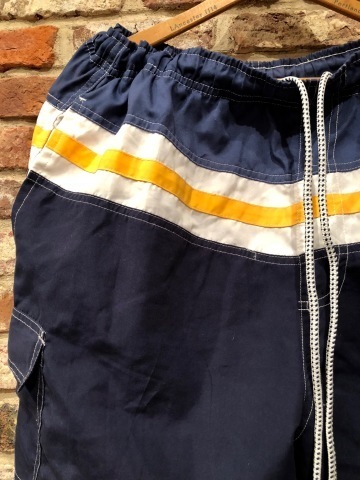 TWO tone NAVY "
1950s " Lee - LONG L - "
" １９５０ｓ H.D Lee "
BRAND : 1950s " H.D Lee - ロング L - "
1950s " ELEPHANT BRAND - 下鼻 - "
BRAND : 1950s " ELEPHANT BRAND - 下鼻 - "
- OLD FAST COLOR - VINTAGE BANDANA . 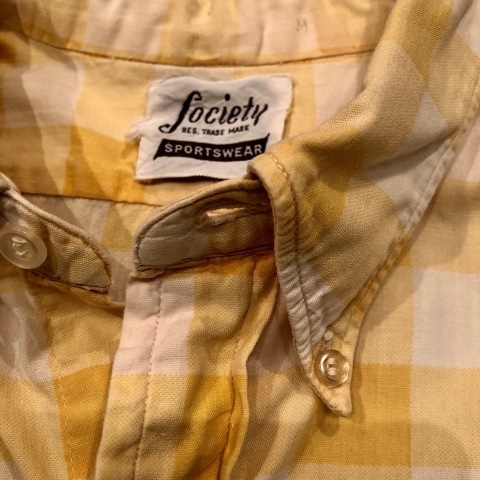 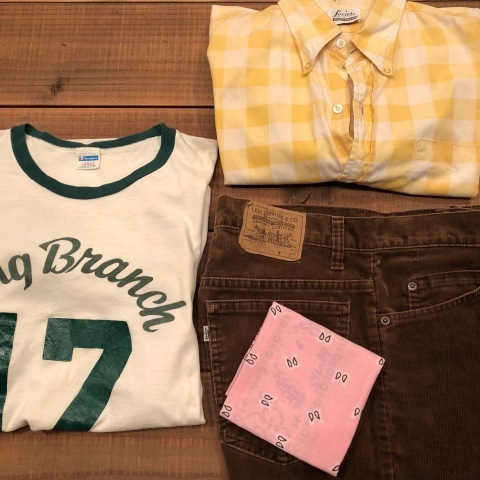 1960s " SOCIETY - SPORTS WEAR - "
BRAND : 1960s " SOCIETY - SPORTS WEAR - "
- BLOCK CHECK - B/D SHIRTS . 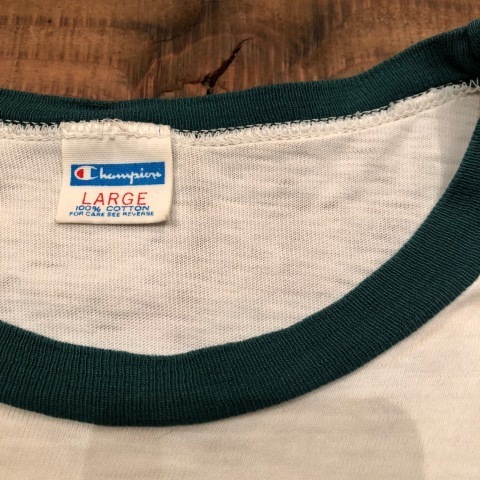 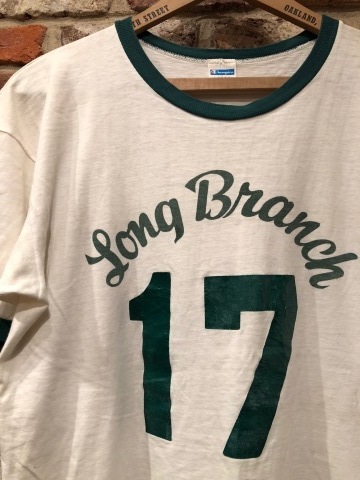 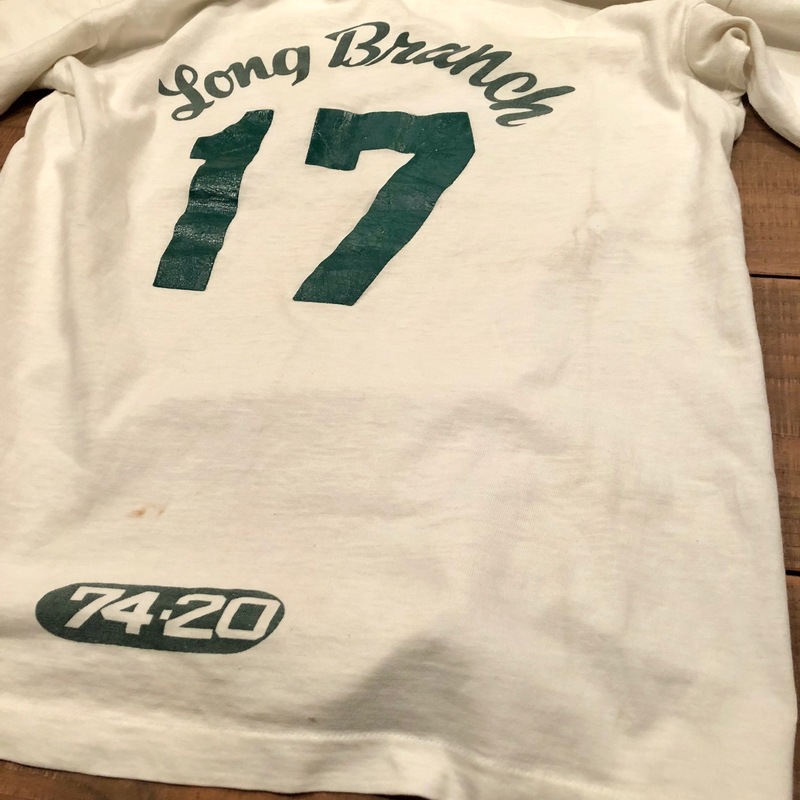 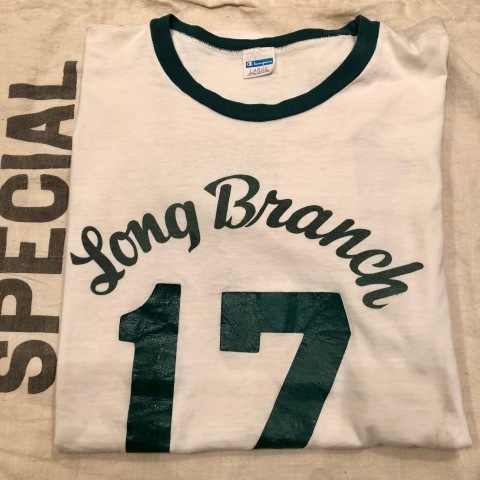 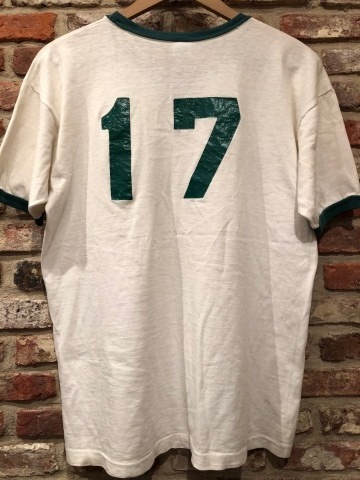 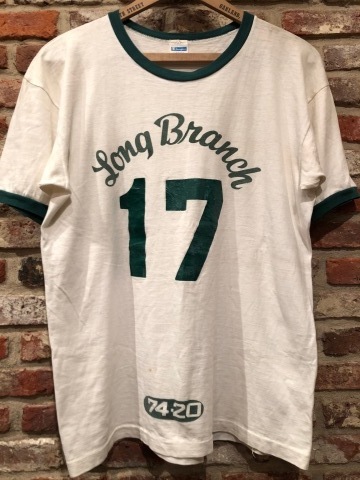 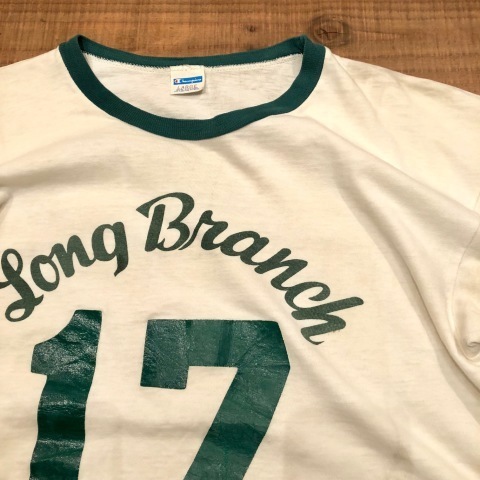 1970s " CHAMPION - BLUE bar tag - "
BRAND : 1970s " CHAMPION - BLUE bar tag - "
VINTAGE - Numberling - Tee SHIRTS . 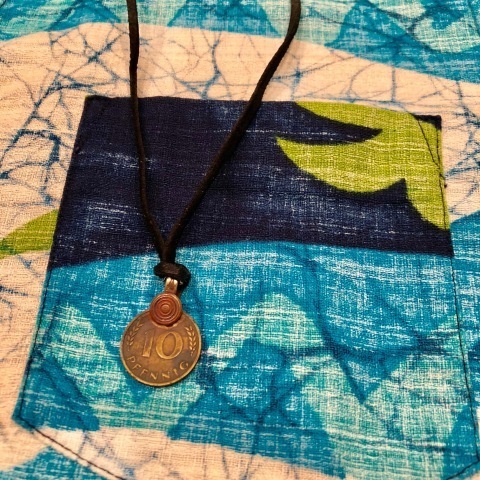 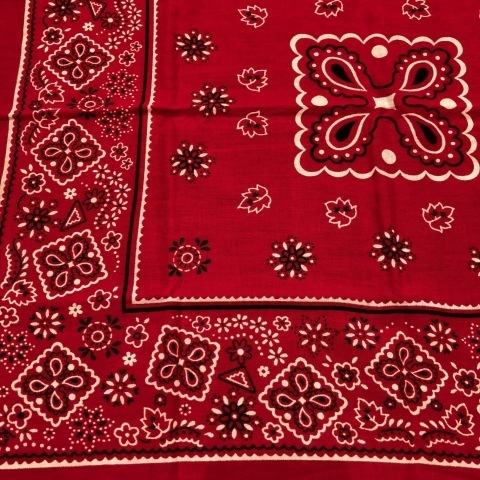 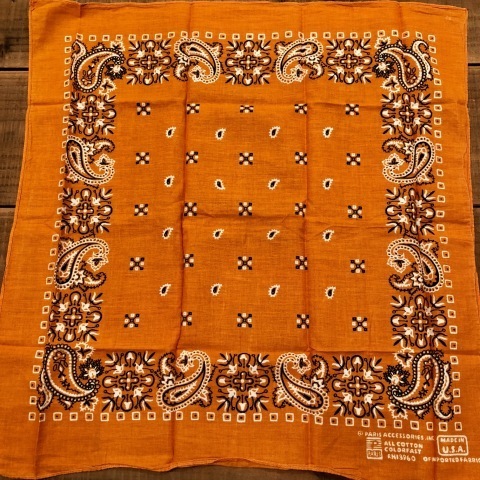 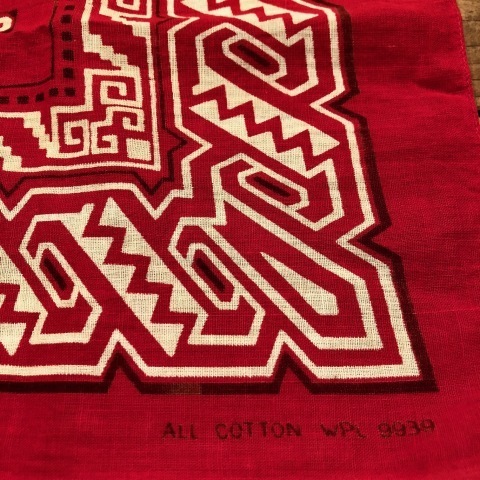 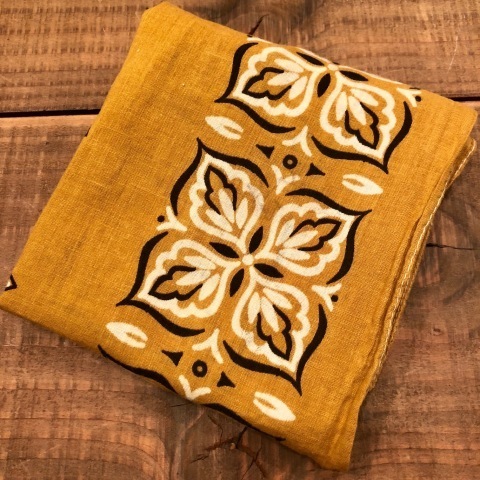 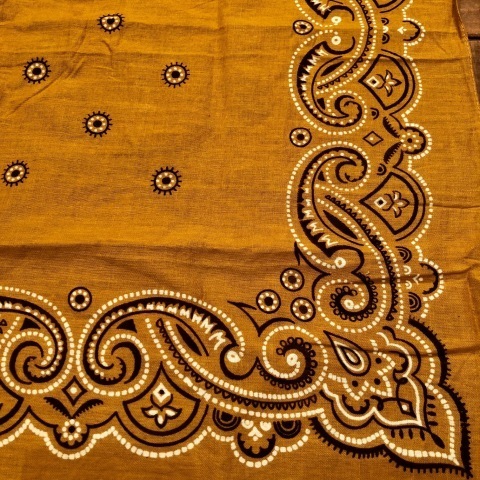 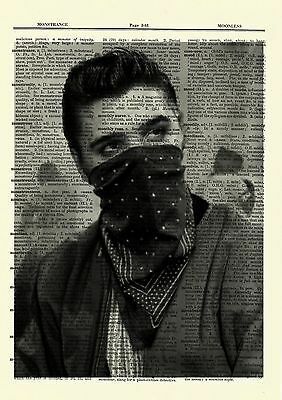 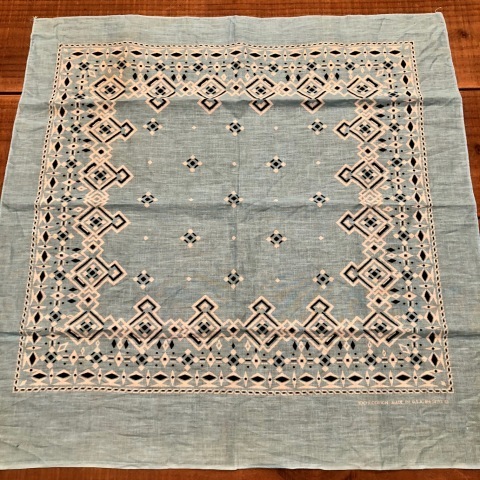 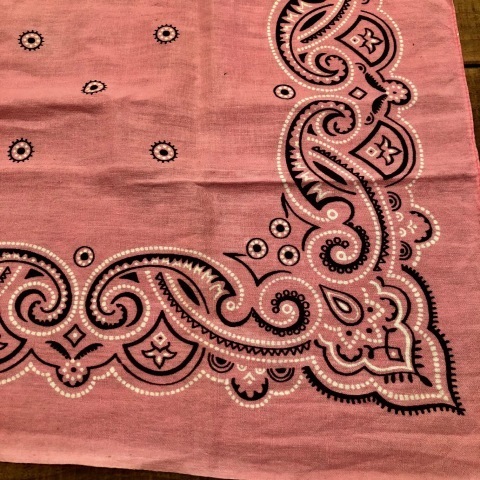 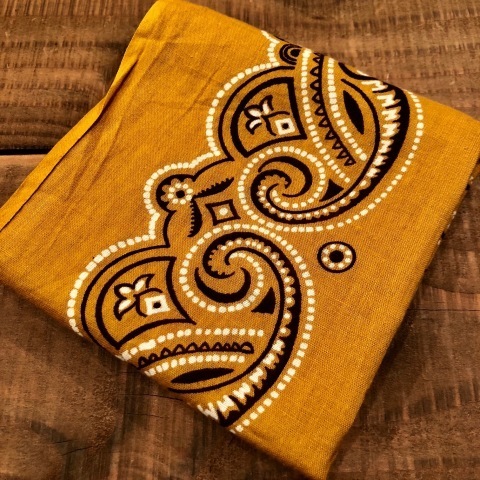 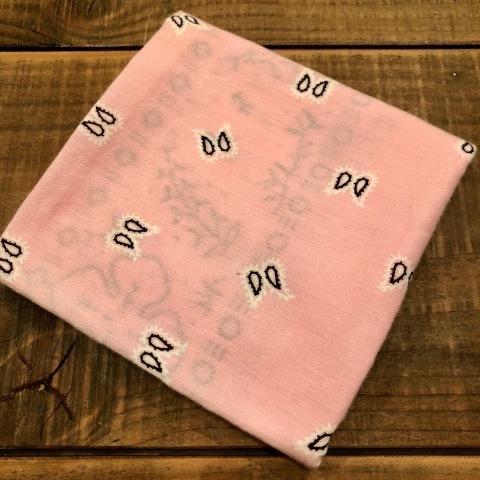 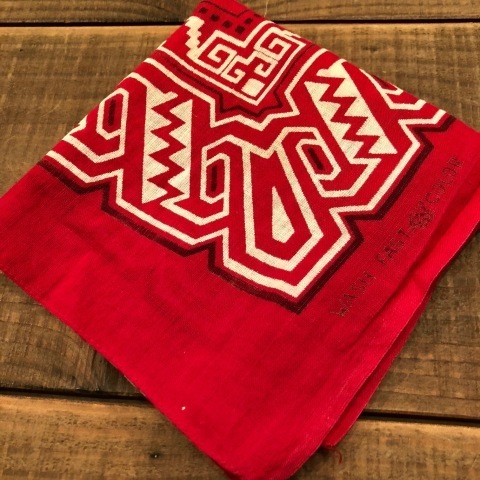 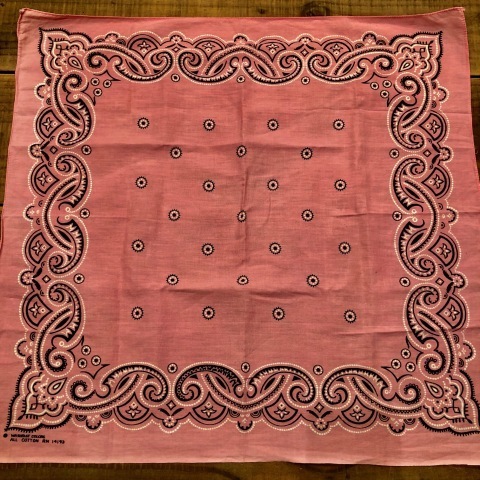 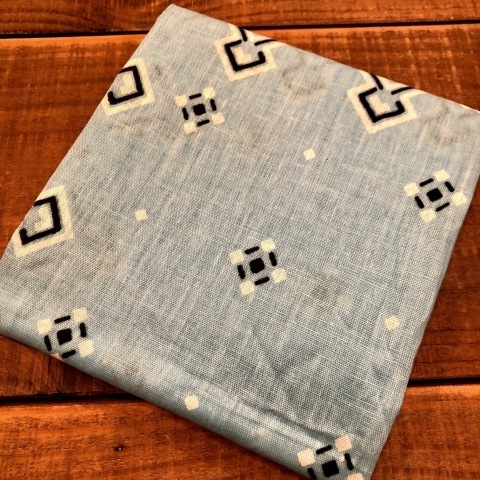 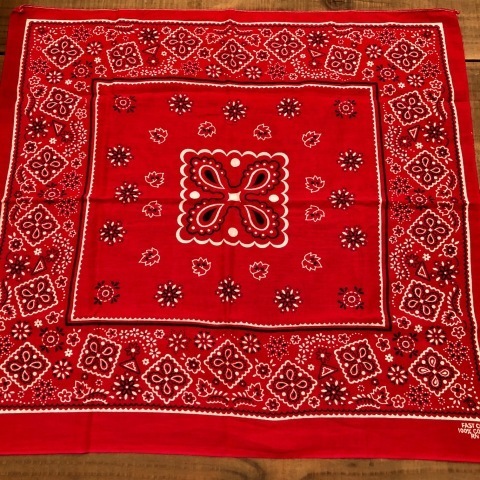 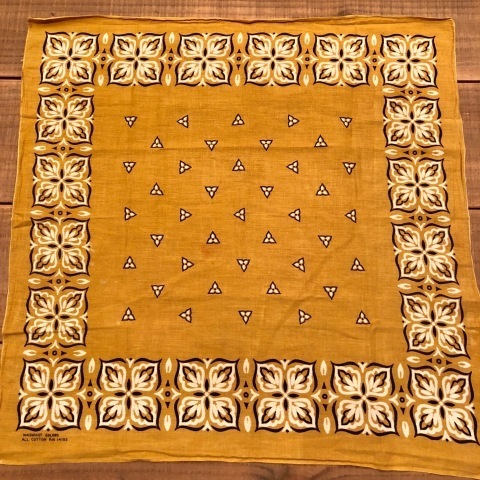 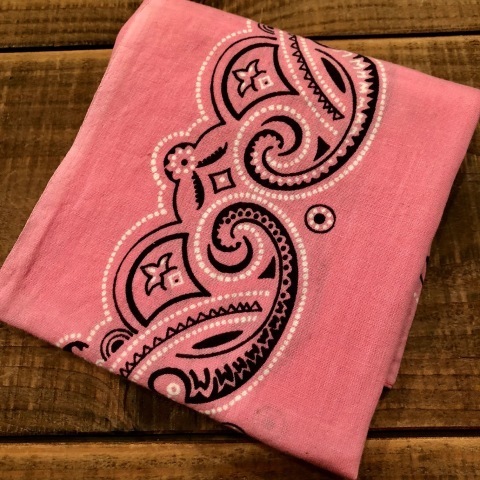 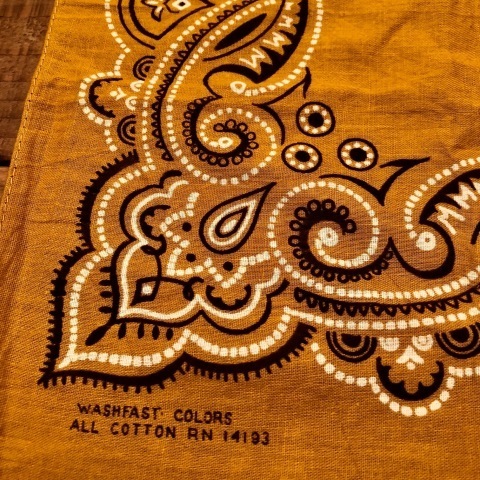 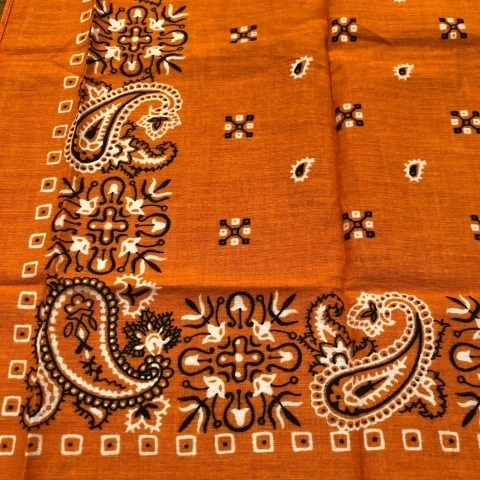 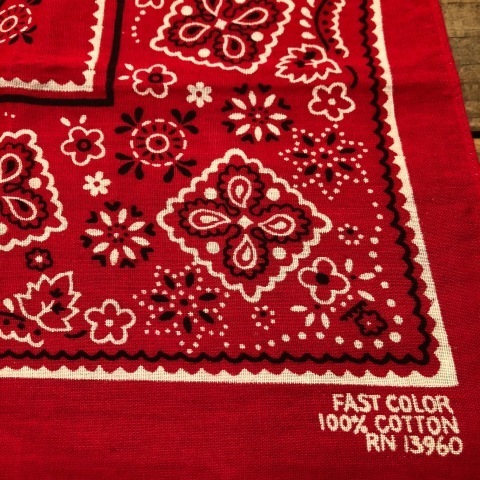 ITEM : 100% cotton PAISLEY BANDANA .
" 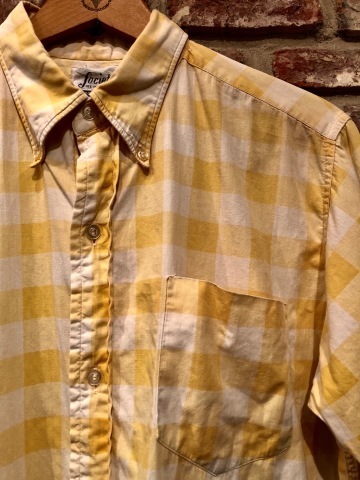 晴れ のち 曇り "
1960-70s " PENNEY'S - TOWN CRAFT - "
BRAND : 1960-70s " PENNEY'S - TOWN CRAFT - "
VINTAGE S/S CHECK SHIRTS . 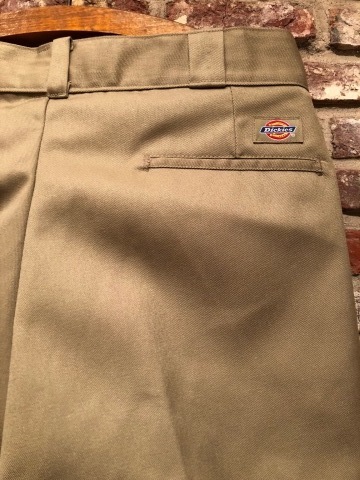 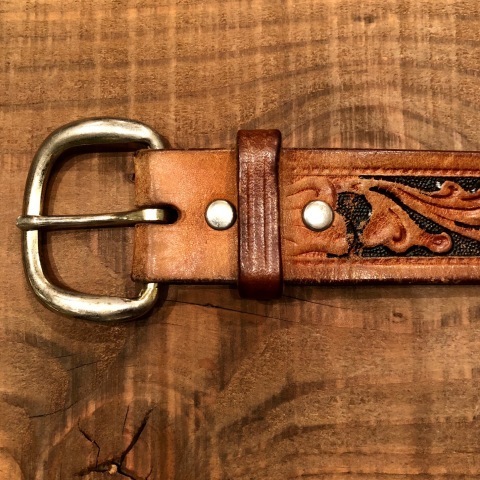 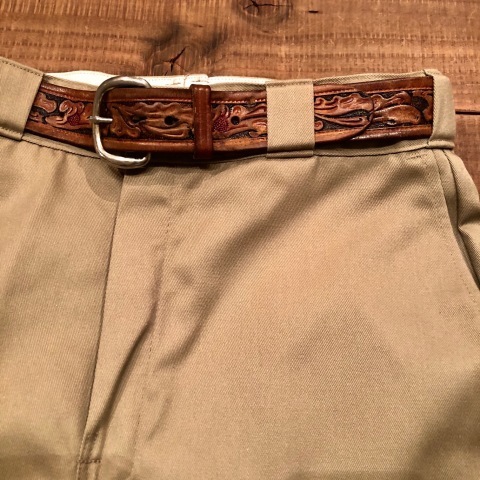 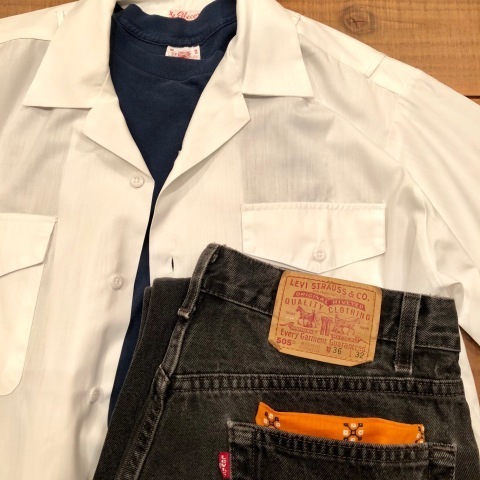 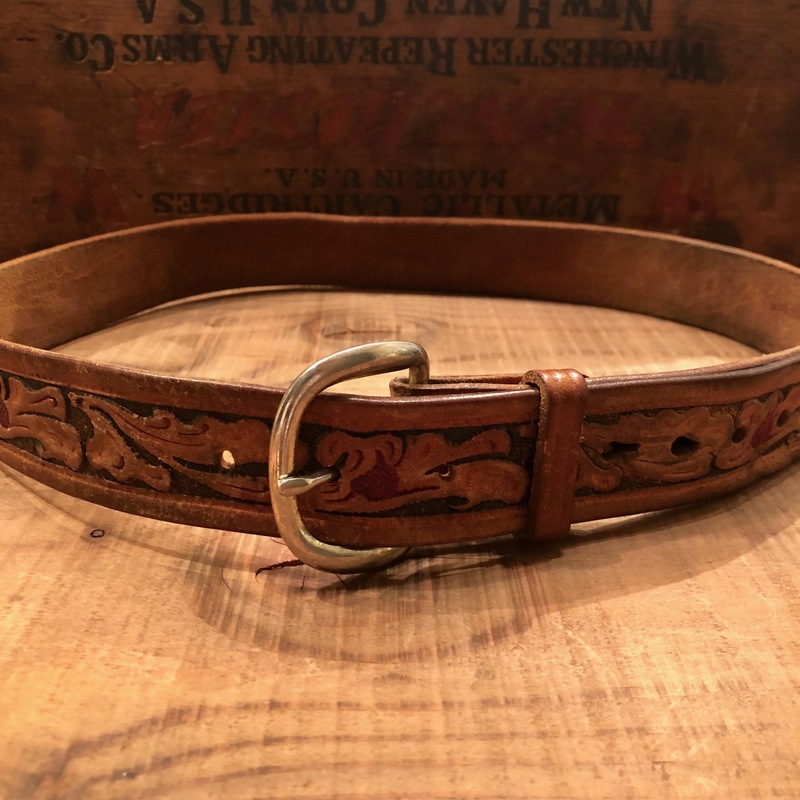 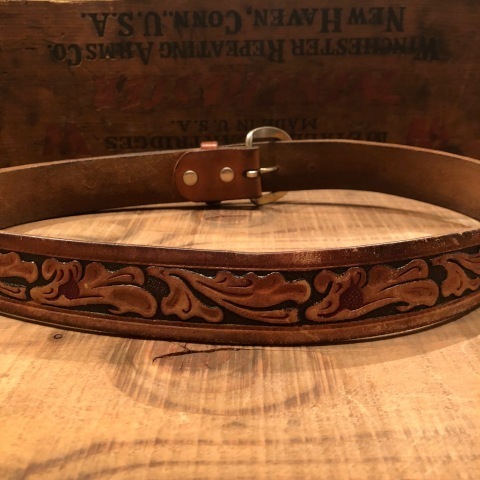 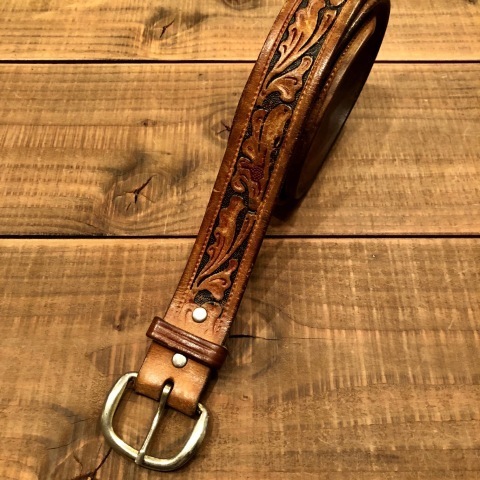 表記 " W３３ - L３０"
BRAND : 1980-90s " DICKIES "
1970s " VINTAGE LEATHER "
BRAND : 1970s " VINTAGE LEATHER "
ITEM : ７０ｓCarving Leather BELT . 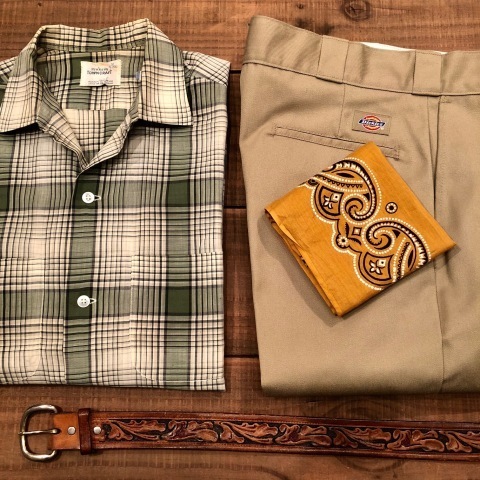 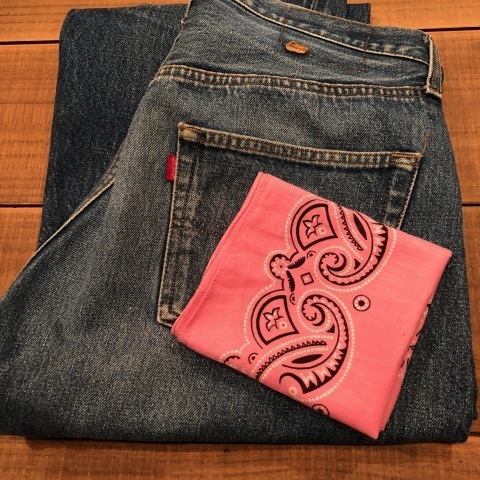 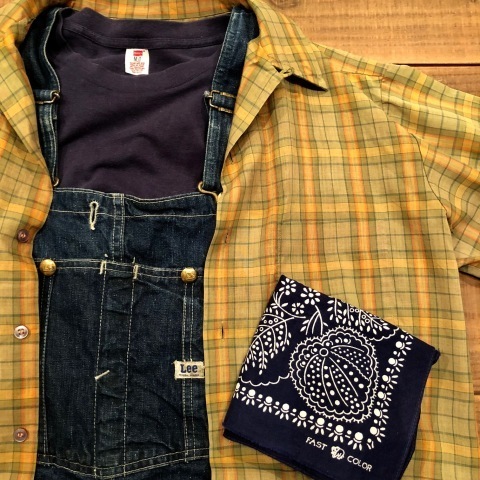 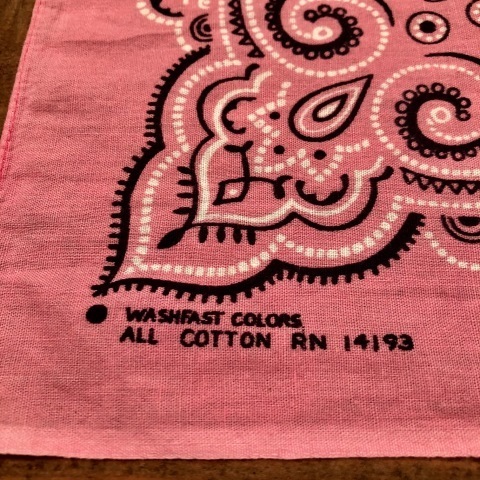 1960s " OLD FAST COLOR "
" ６０ｓ WASH FAST COLORS "
BRAND : 1960s " WASH FAST COLORS "
- PAISLEY pattern - VINTAGE BANDANA . 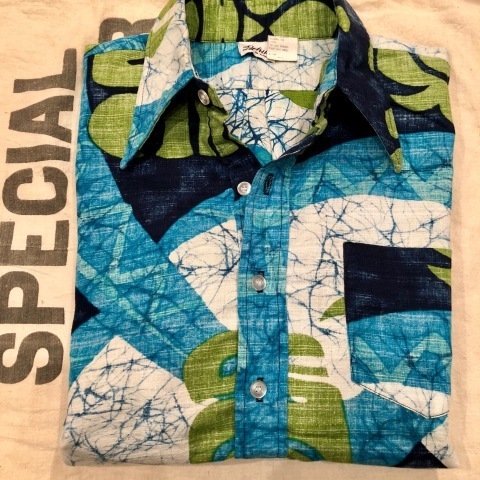 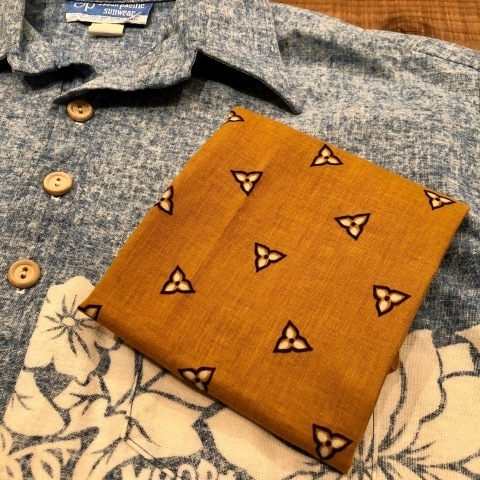 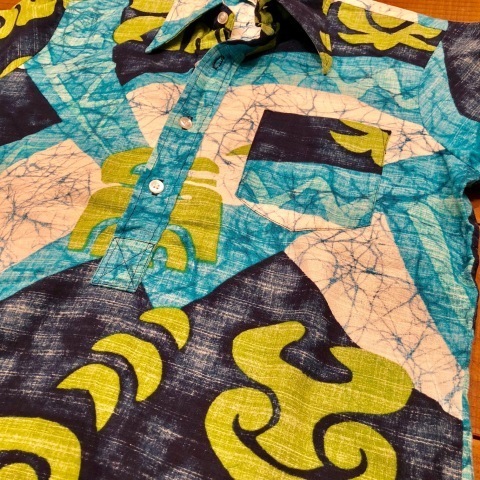 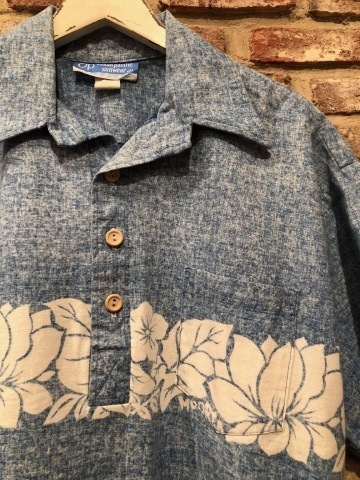 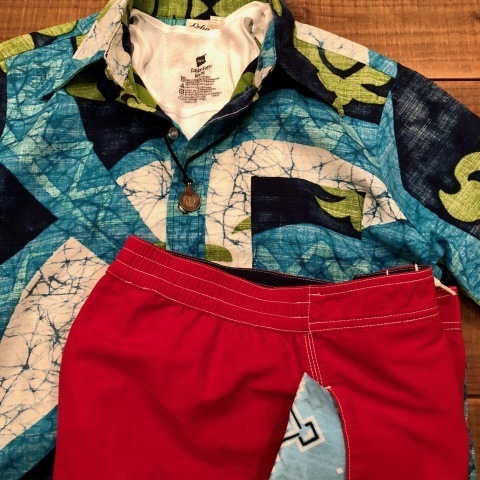 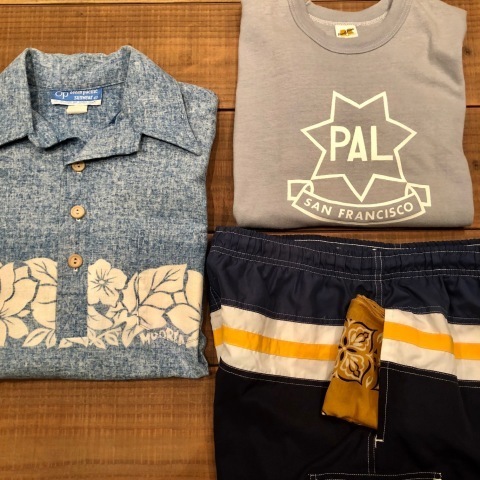 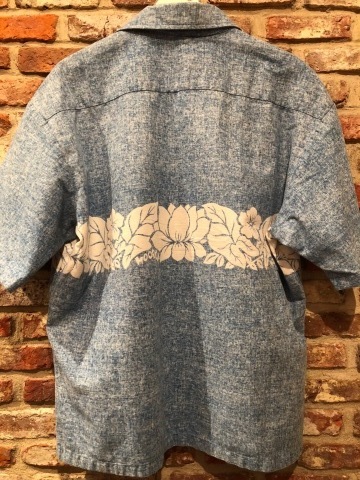 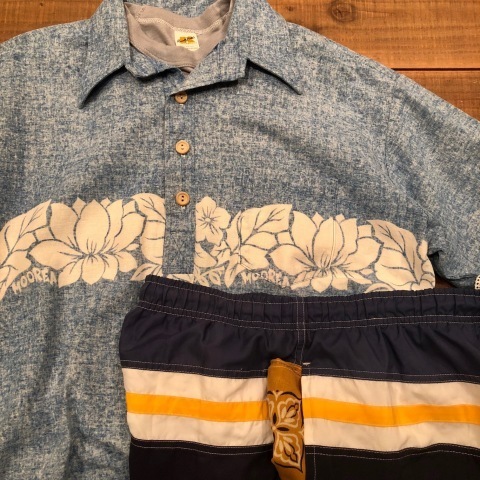 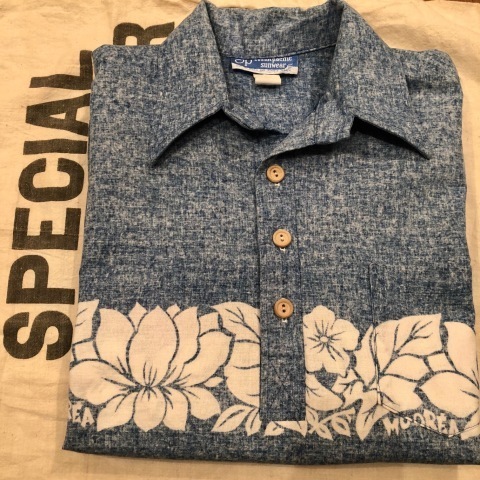 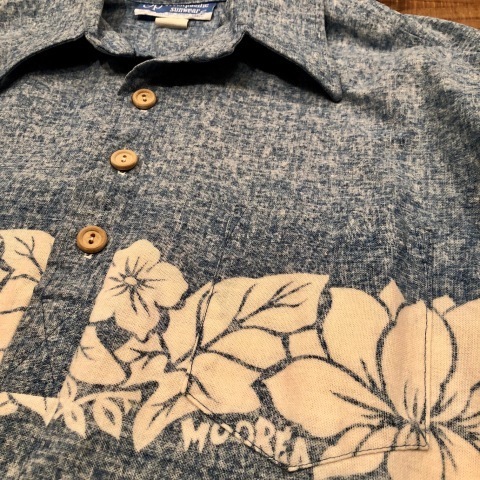 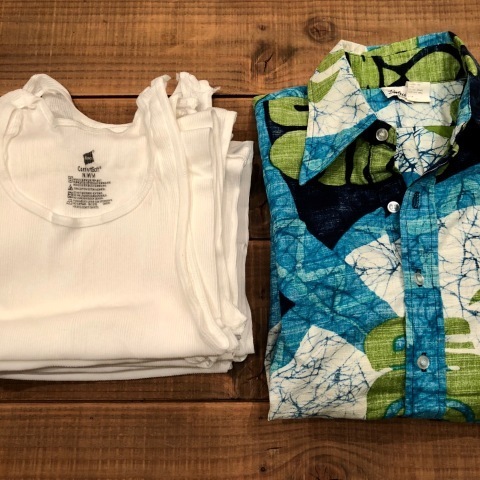 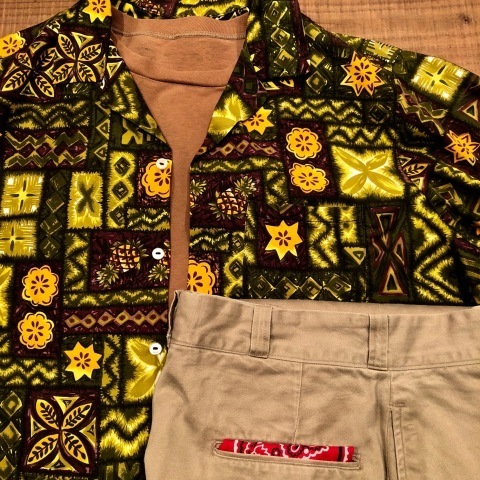 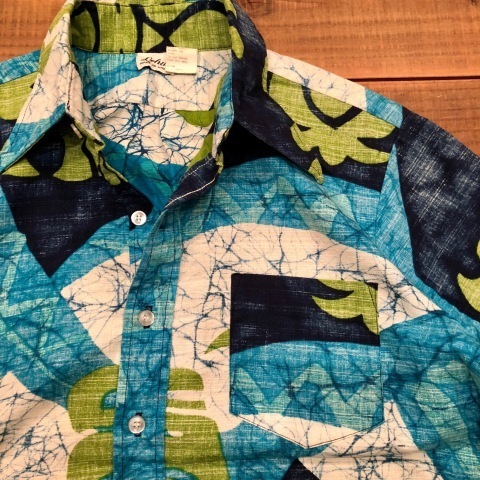 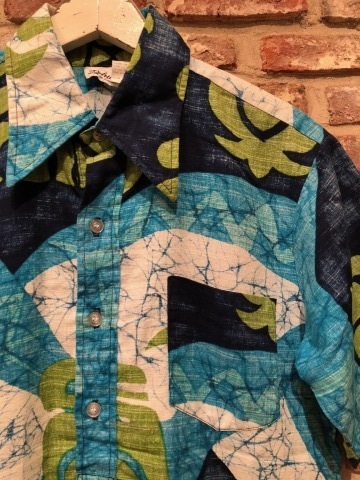 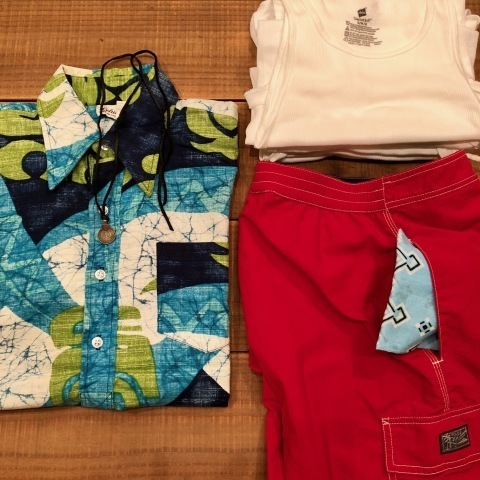 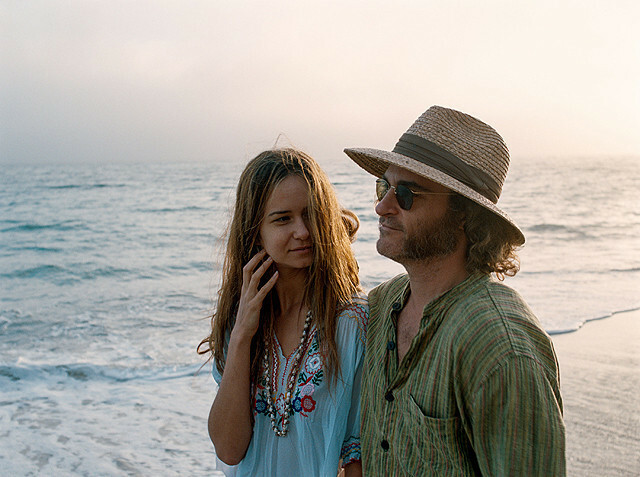 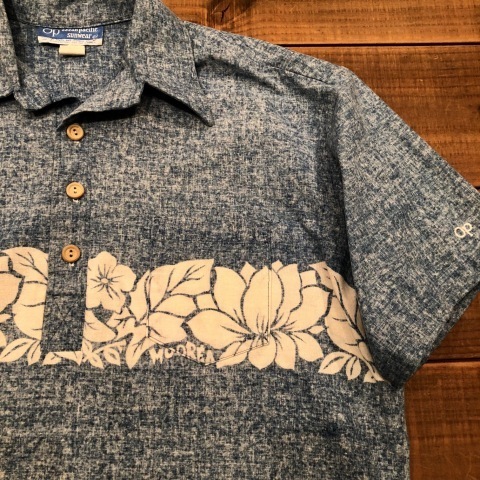 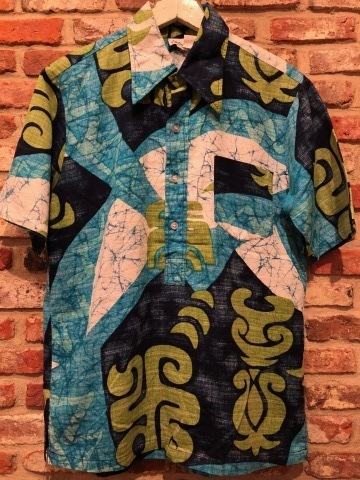 BRAND : 1970s " Lehua "
- HAWAIIAN Textile - P/O SHIRTS . 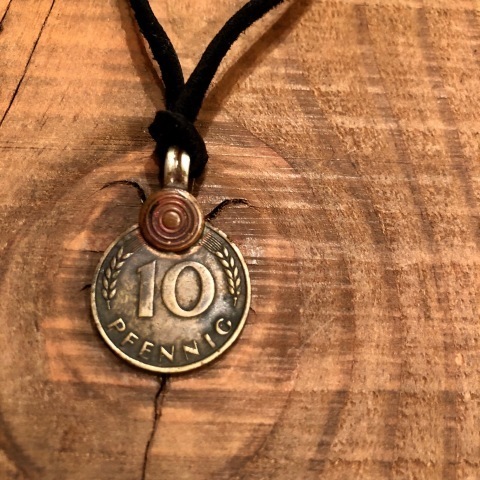 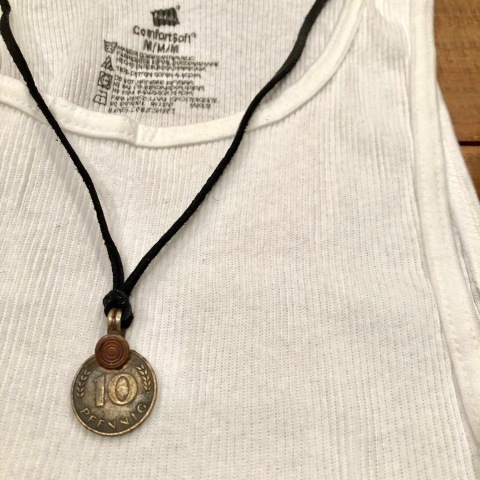 1950 " VINTAGE COIN "
BRAND : 1950 " VINTAGE COIN "
ITEM : - D.I.Y - LEATHER CHOKER NECKLESS . 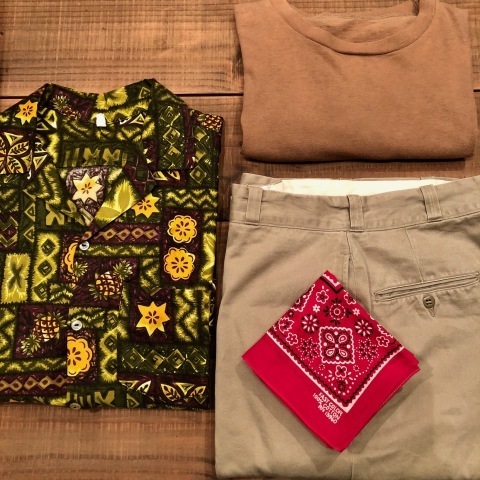 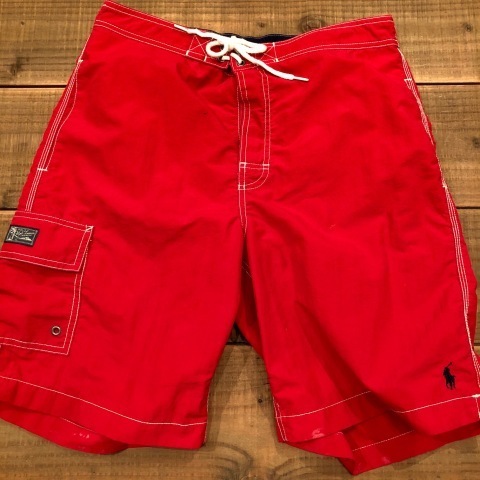 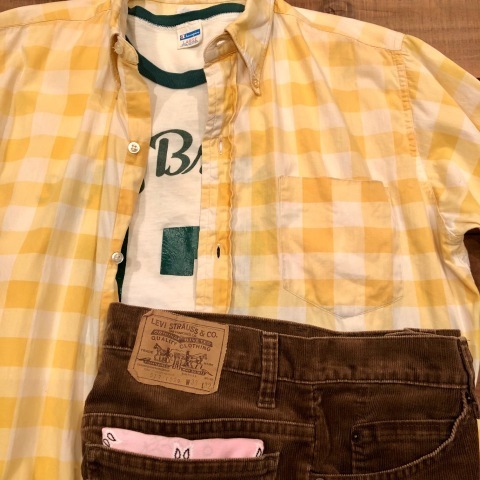 1980-90s " POLO RALPH LAUREN "
BRAND : 1980-90s " POLO RALPH LAUREN "
1970s " OLD FAST COLOR "
" OLD FAST COLOR "
BRAND : 1970s " OLD FAST COLOR "
VINTAGE - Paisley pattern - BANDANA . 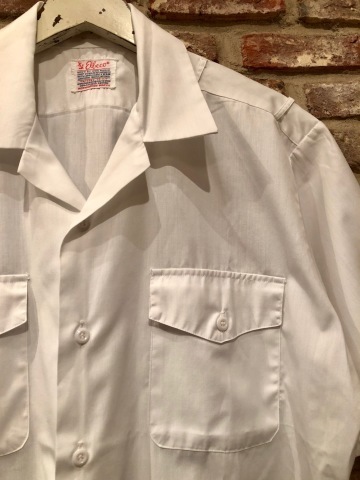 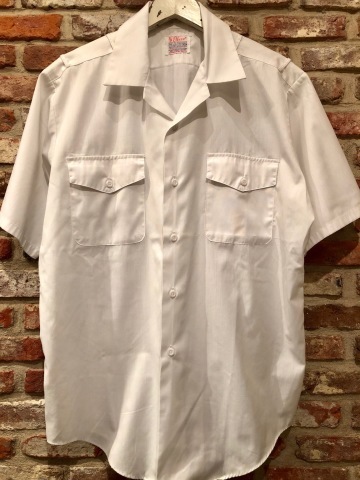 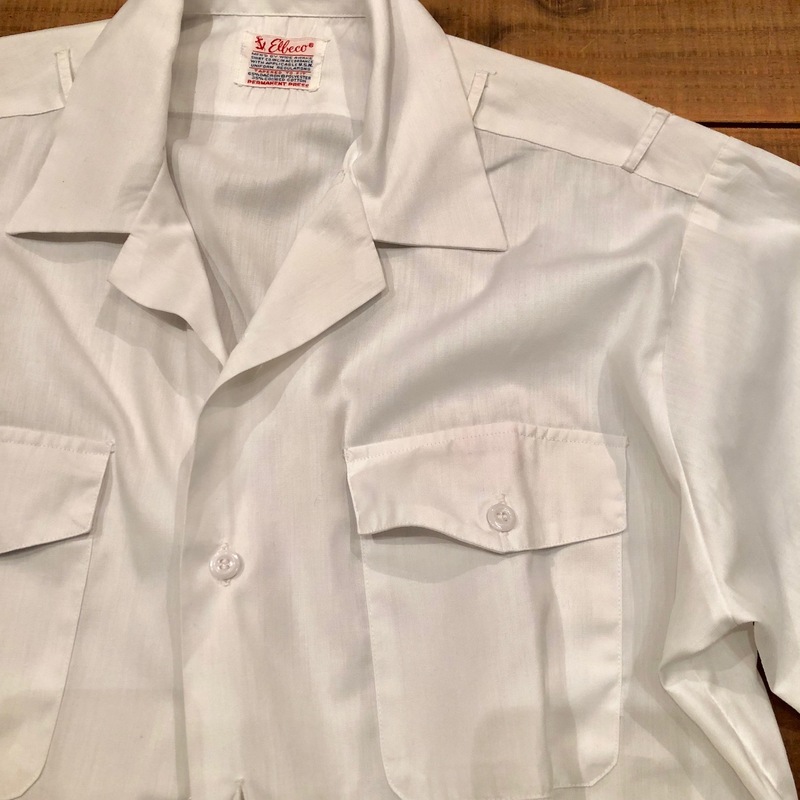 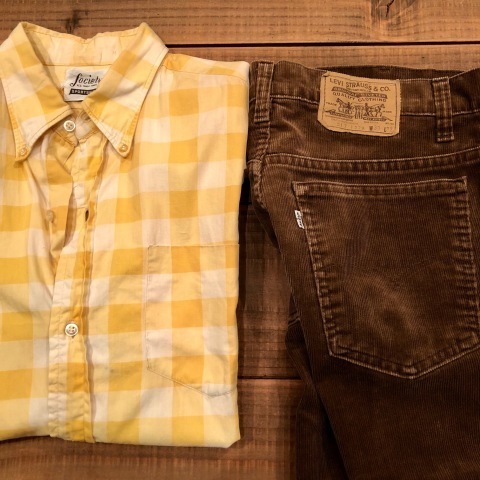 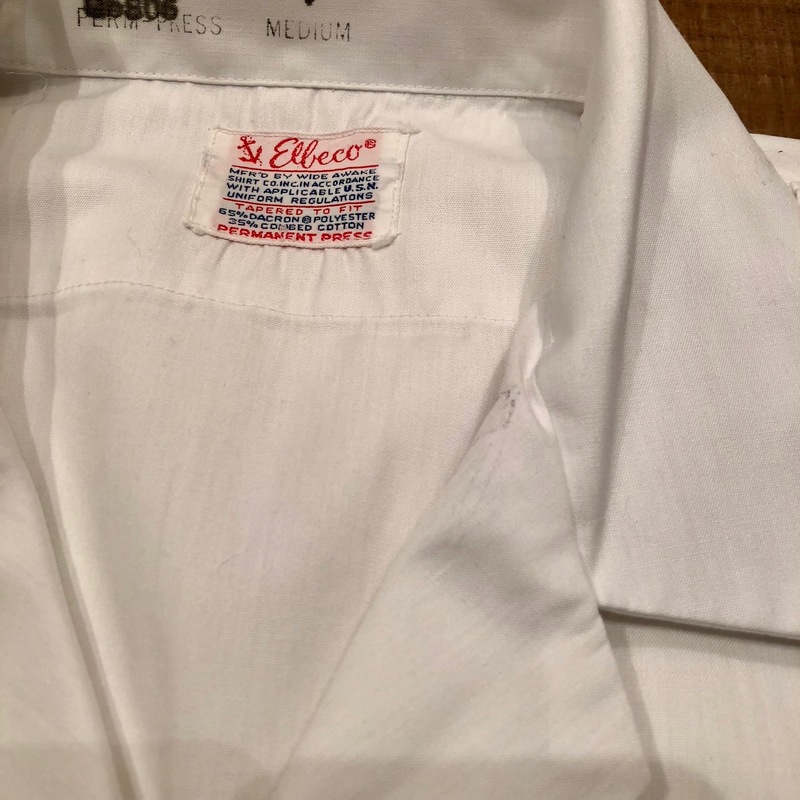 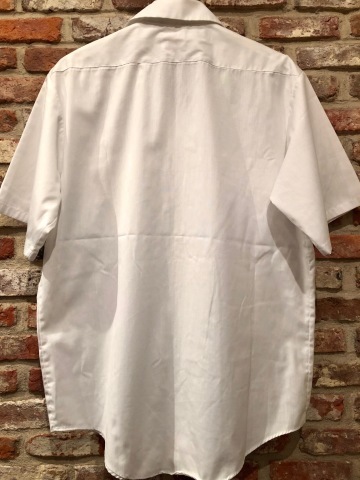 BRAND : 1970s " ELLECO "
- CLASSIC - S/S OFFICER SHIRTS . 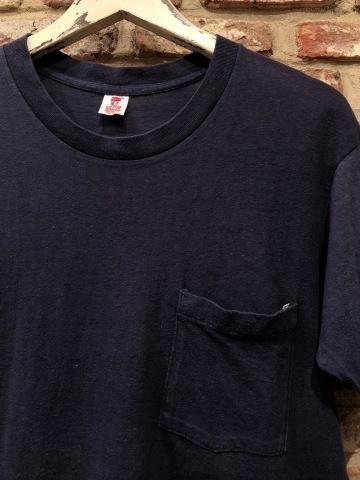 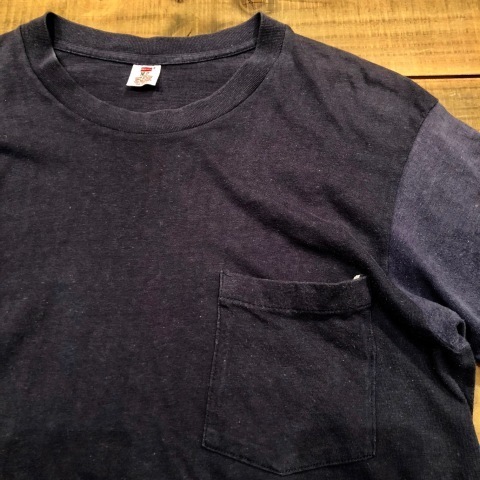 1980s " J.E MORGAN "
" ８０ｓ J.E MORGAN "
BRAND : 1980s " J.E MORGAN "
- VINTAGE - POCKET Tee SHIRTS . 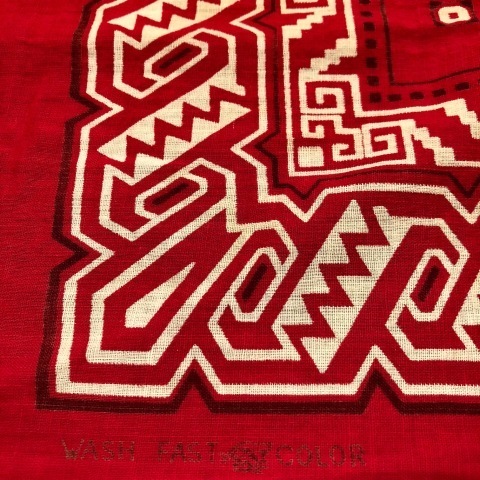 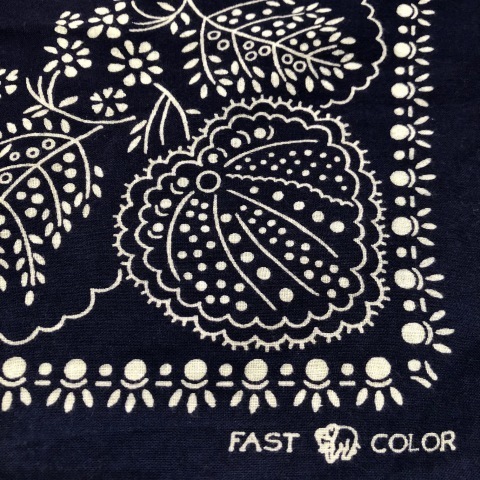 1980s " PARIS ACCESSORIES INC . "
BRAND : 1980s " PARIS ACCESSARIES INC . "
- FAST COLOR - BANDANA . 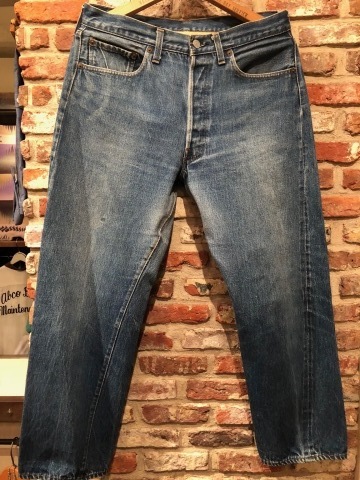 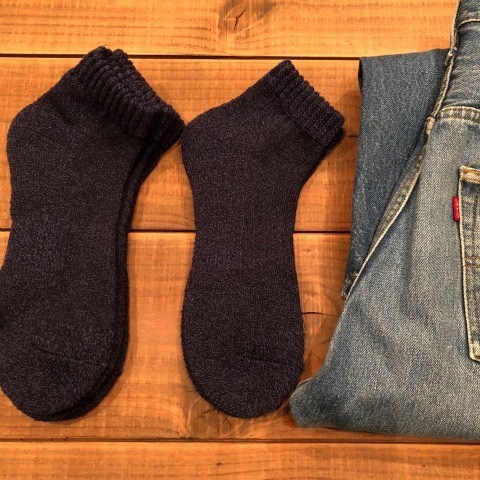 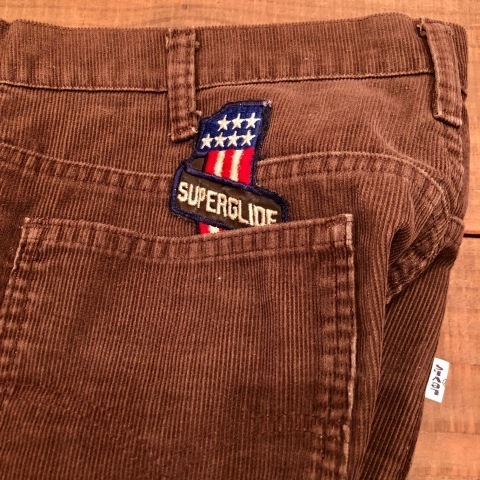 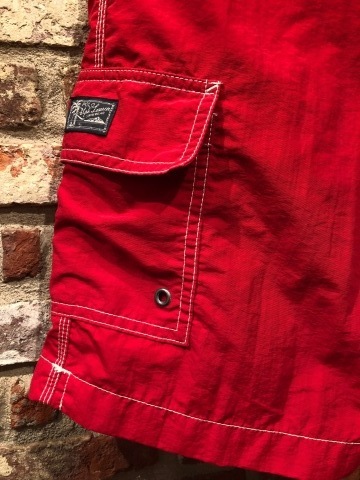 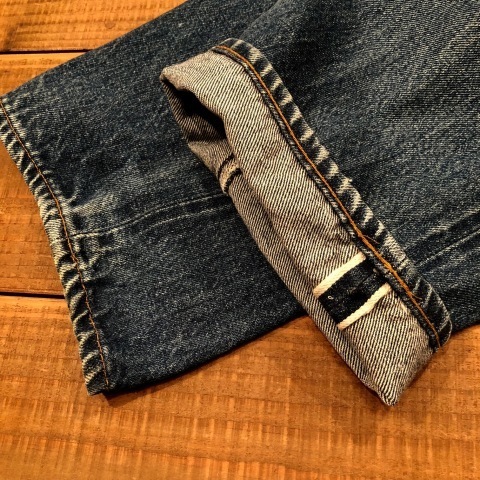 1989 " Levi's - RED TAB - "
" MADE IN U.S.A の リーバイス "
BRAND : 1989 " Levi's - RED TAB - "
- BLACK DENIM - 5POCKET JEANS . 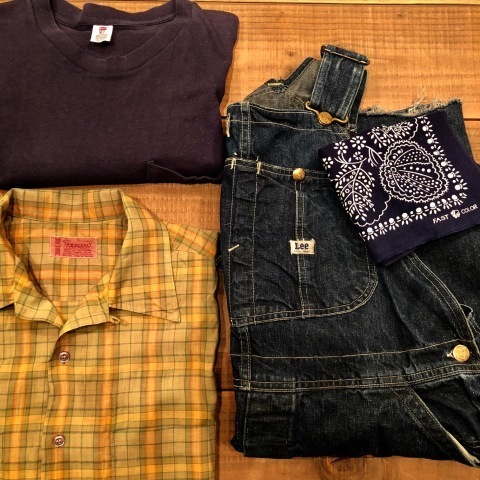 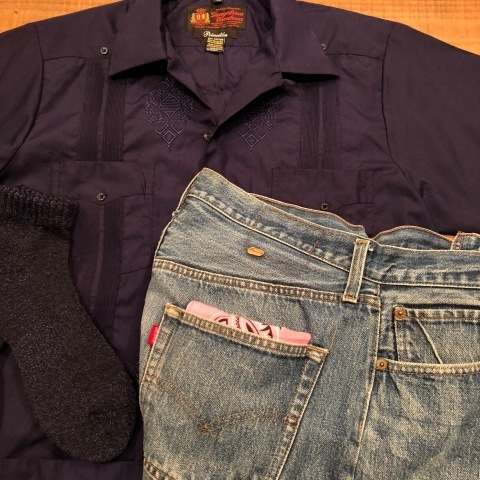 - VINTAGE - CUBA SHIRTS " NAVY "
サイズ表記 " W３４ - L３０ "
BRAND : 1982-84 " Levi's "
VINTAGE DENIM 5POCKET jeans .
" 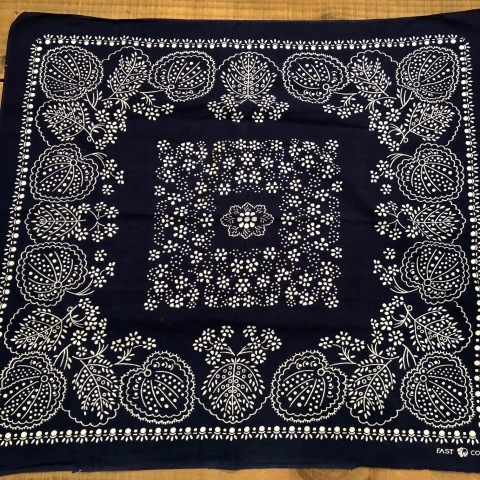 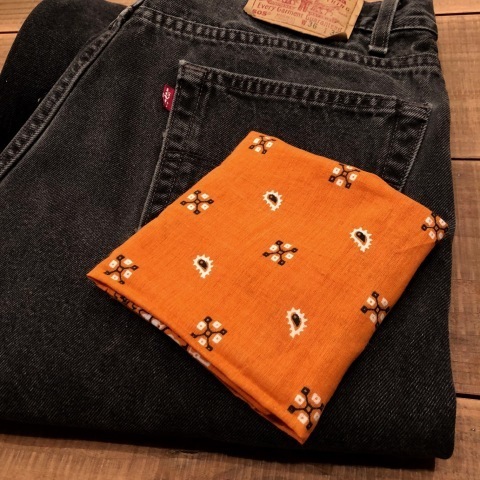 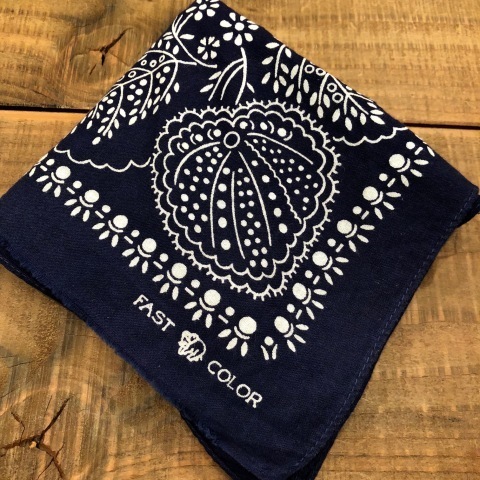 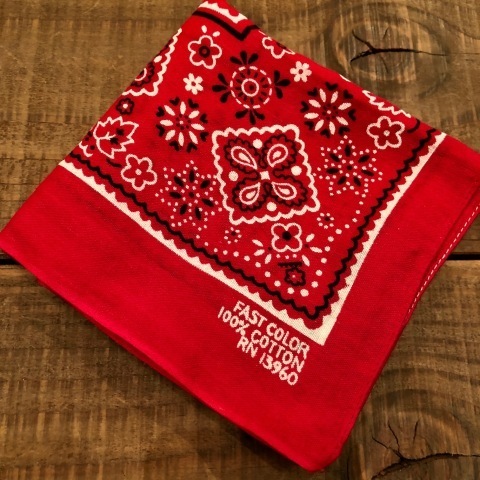 OLD FAST COLORS "
BRAND : 1960s " OLD FAST COLORS "
- Paisley pattern - RN 14193 BANDANA . 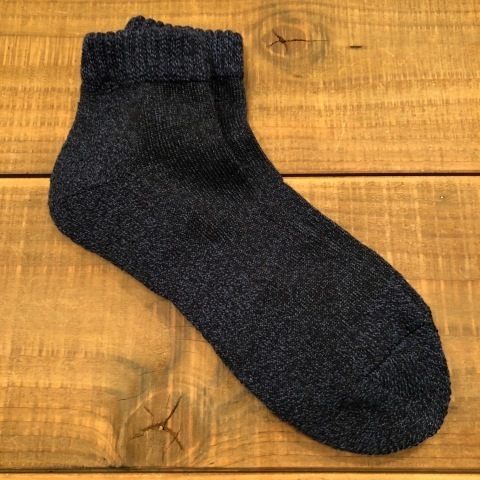 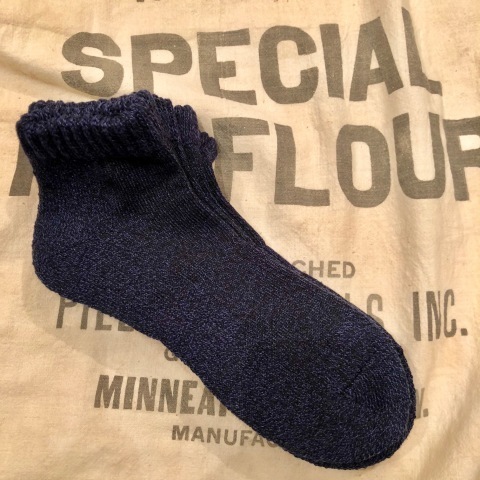 - OLD SKOOL - cotton SOX " Indigo BLUE "